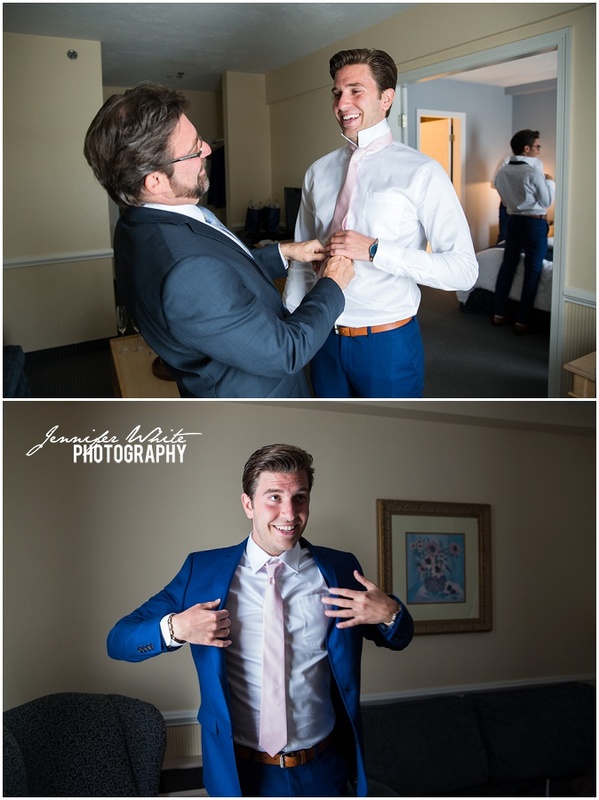 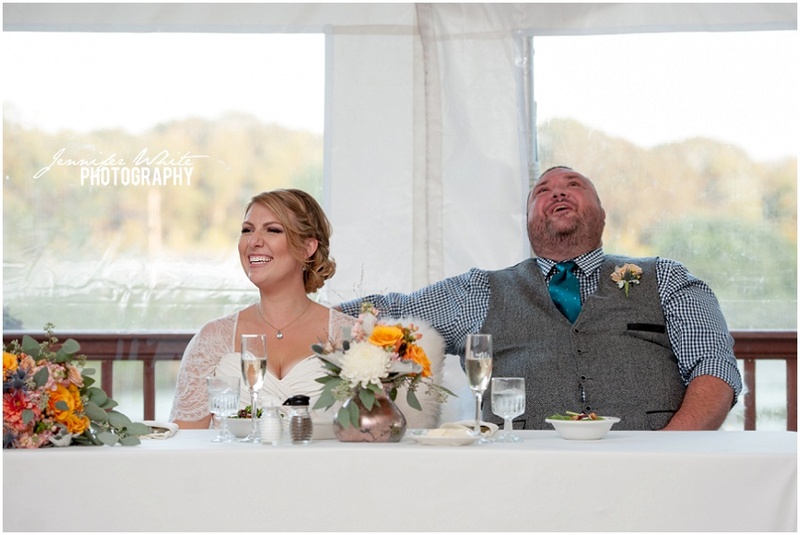 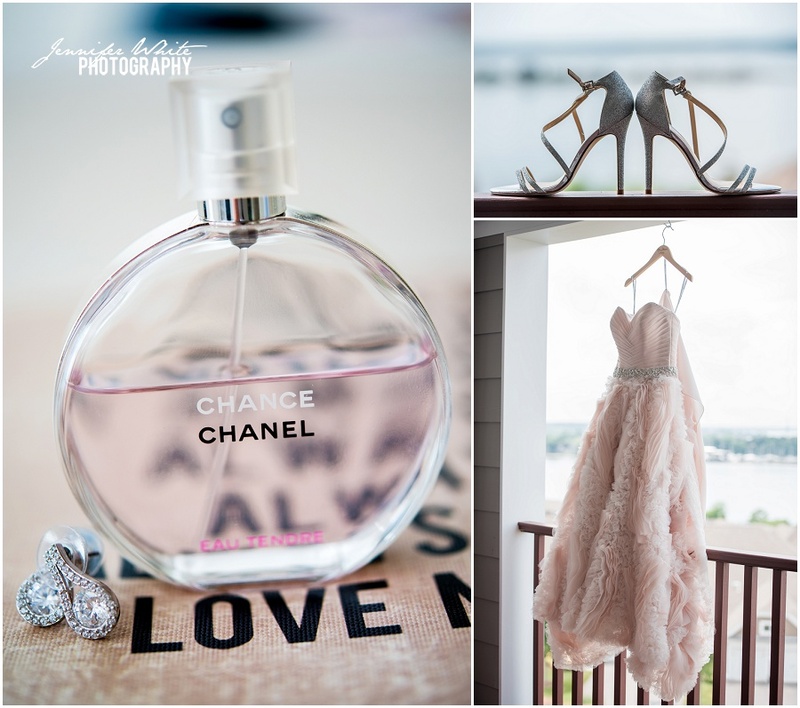 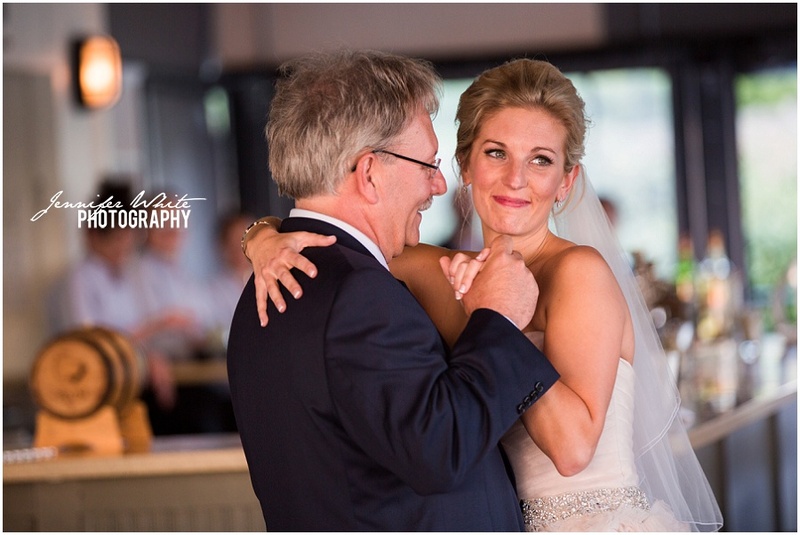 Alyson & Dino’s wedding was a dream to photograph, from the perfect pink and blue details to the amazing water views at The Boathouse in Tiverton. 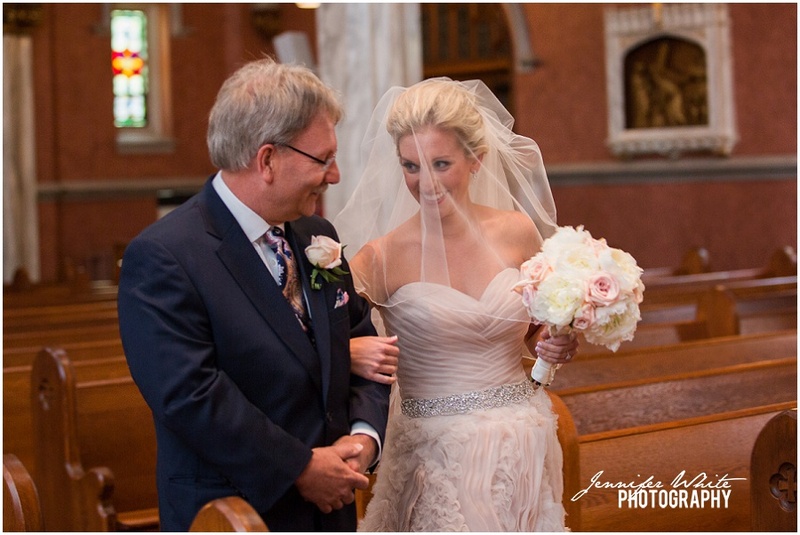 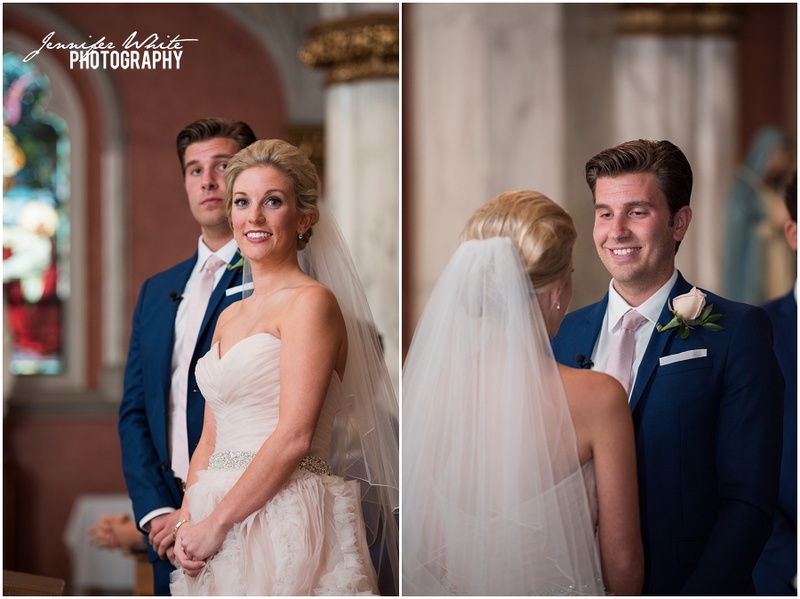 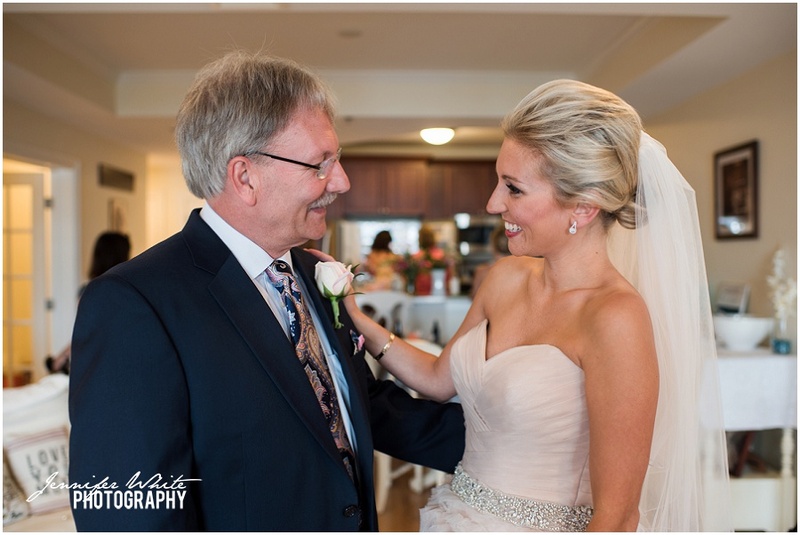 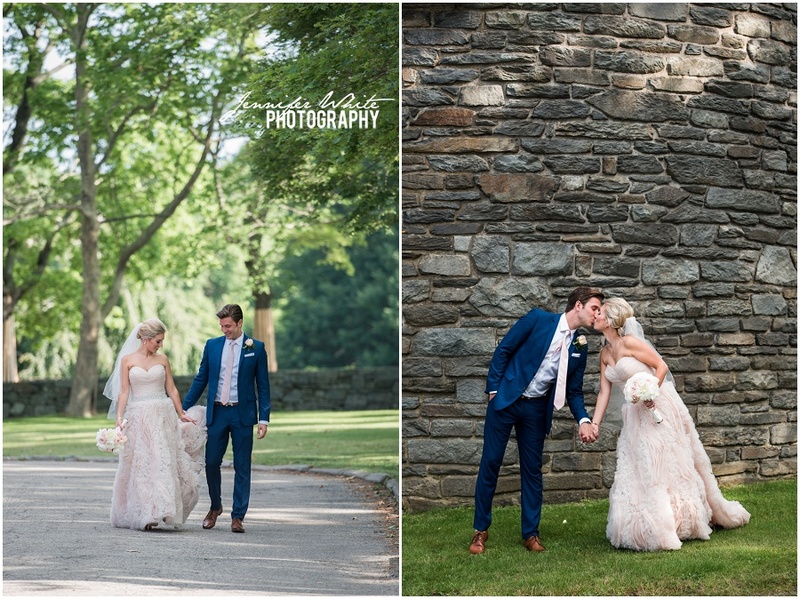 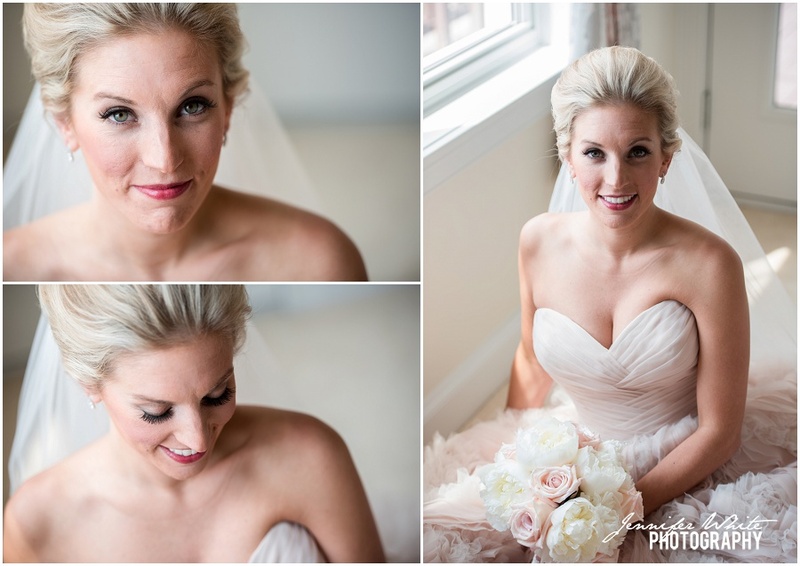 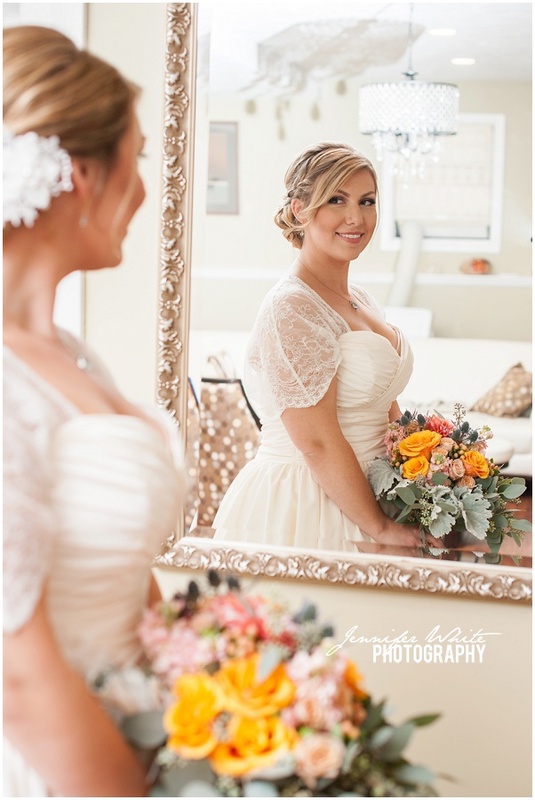 How stunning is Alyson’s blush colored dress? 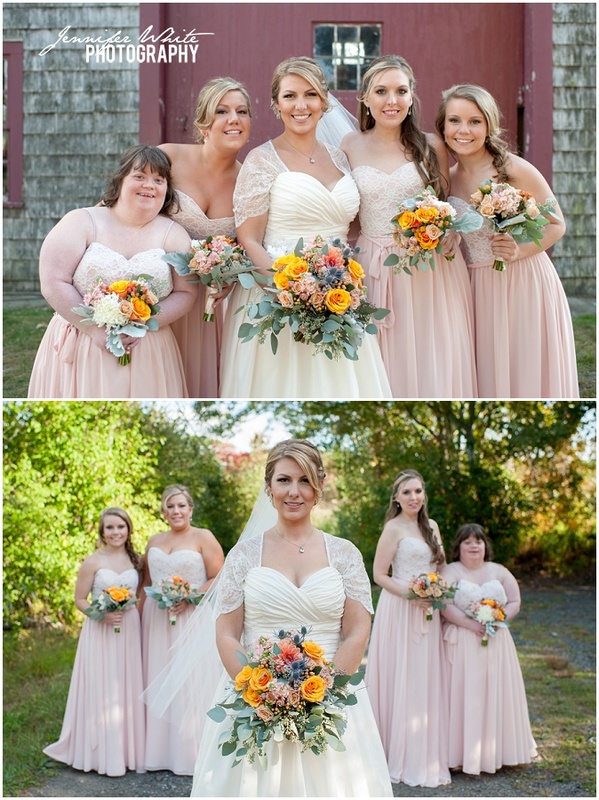 I’m obsessed with those ruffles! 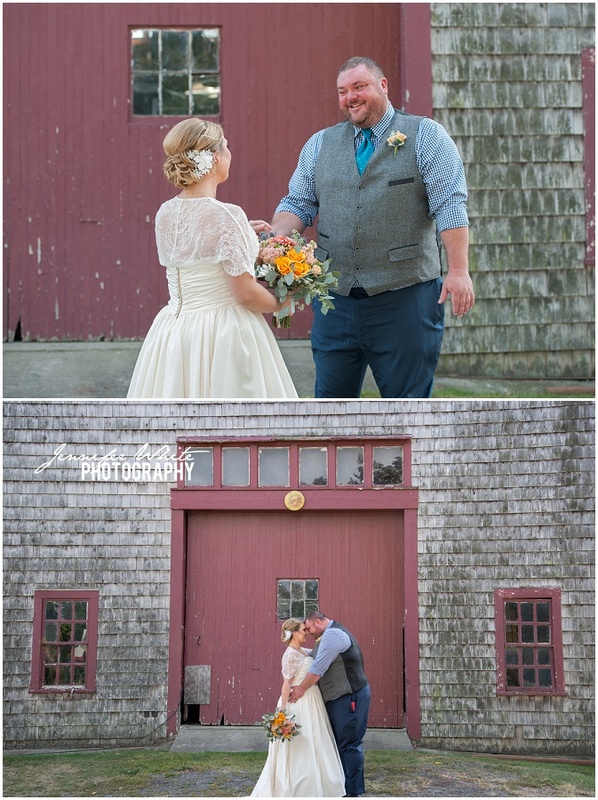 After the ceremony, we made a quick stop at Colt State Park for some bridal portraits. 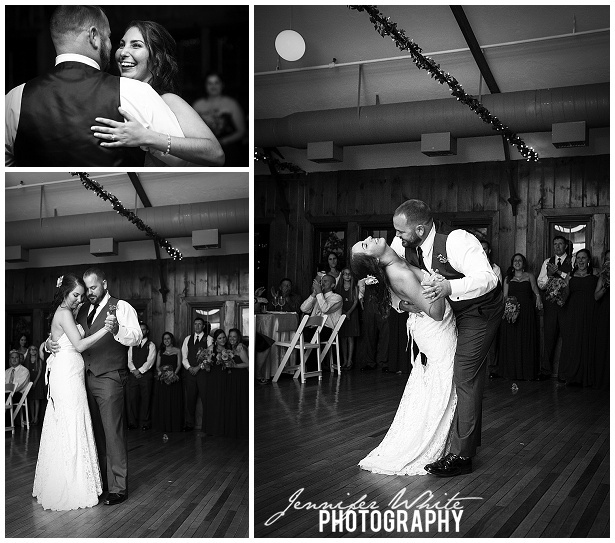 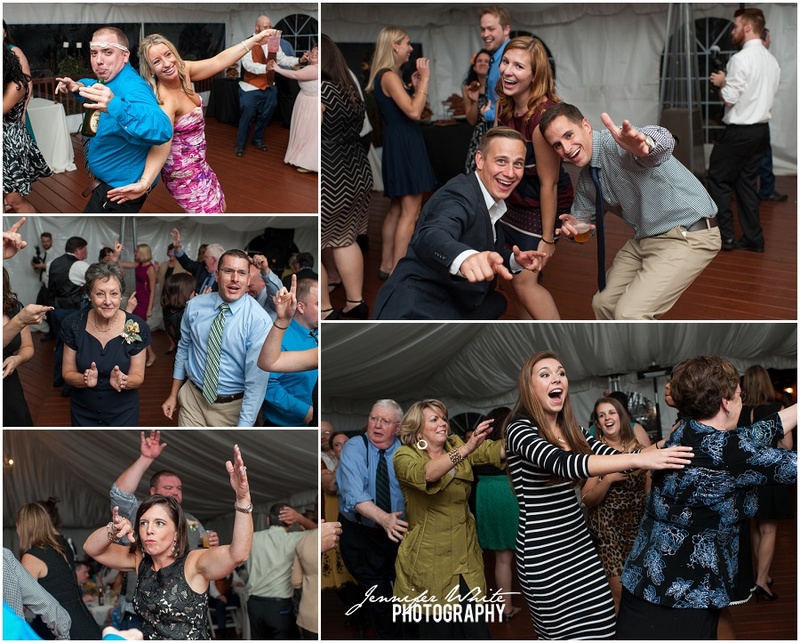 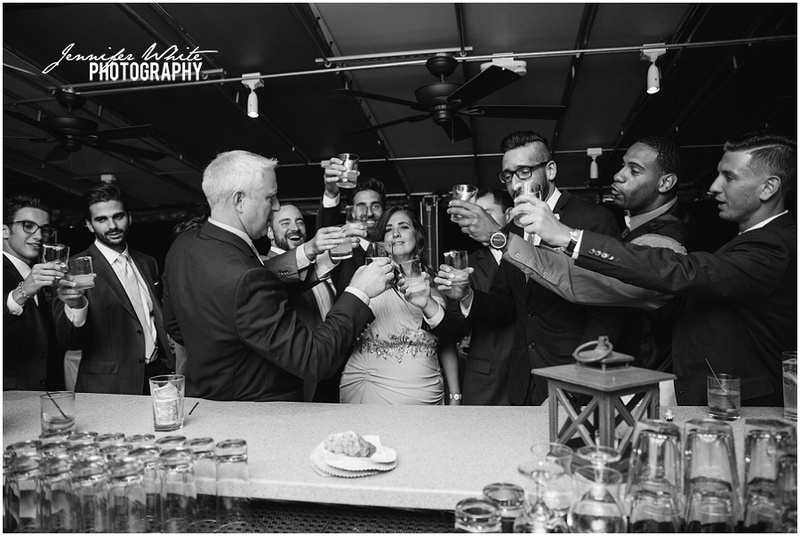 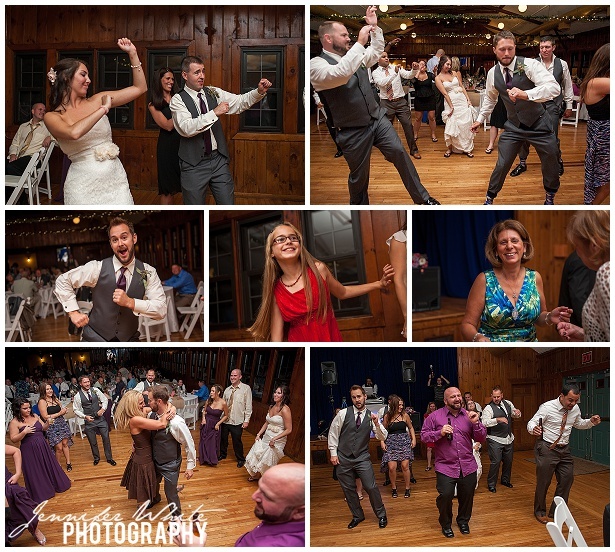 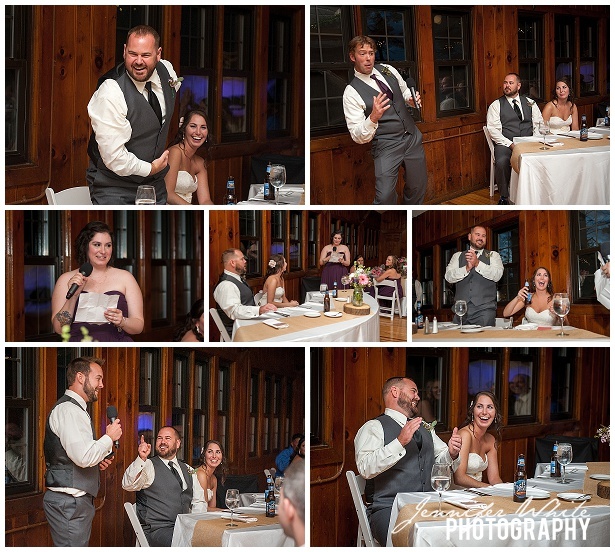 There were so many sweet happy tears during the dances and toasts! 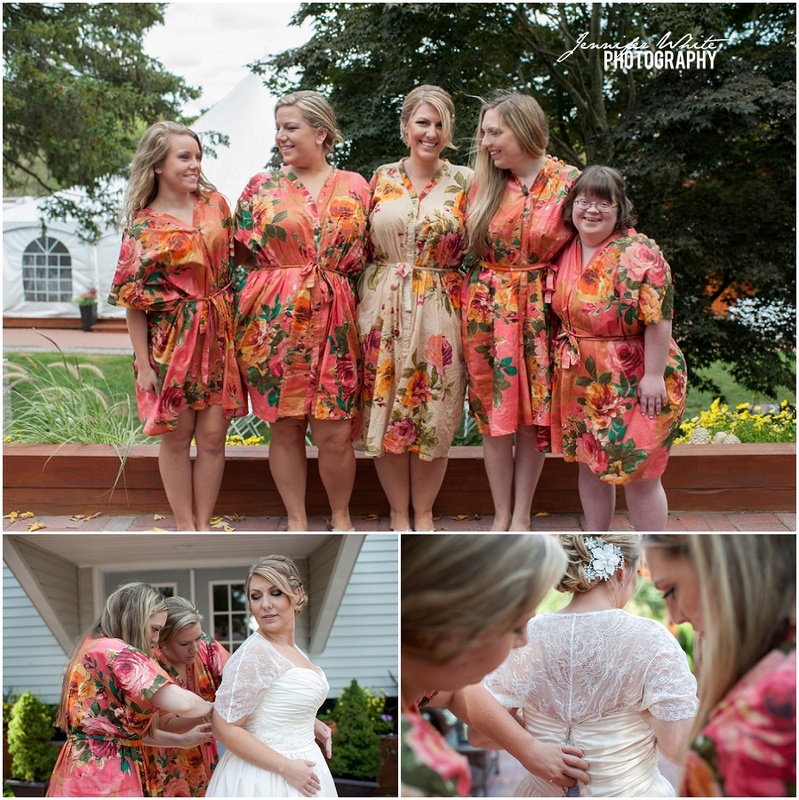 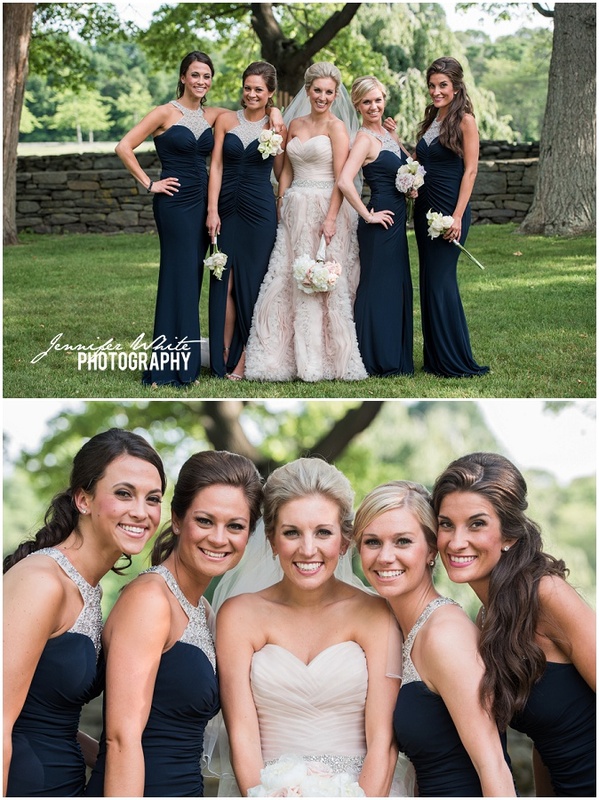 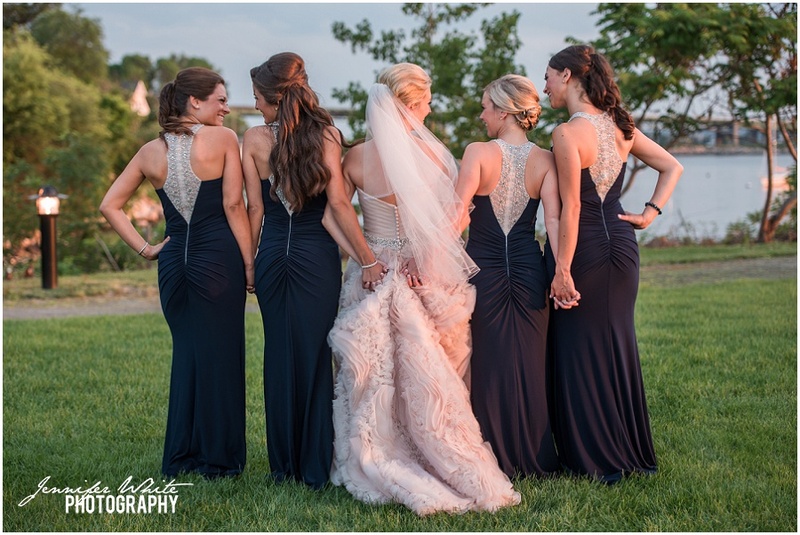 I had to get a shot of those bridesmaids dresses from the back – amazing! 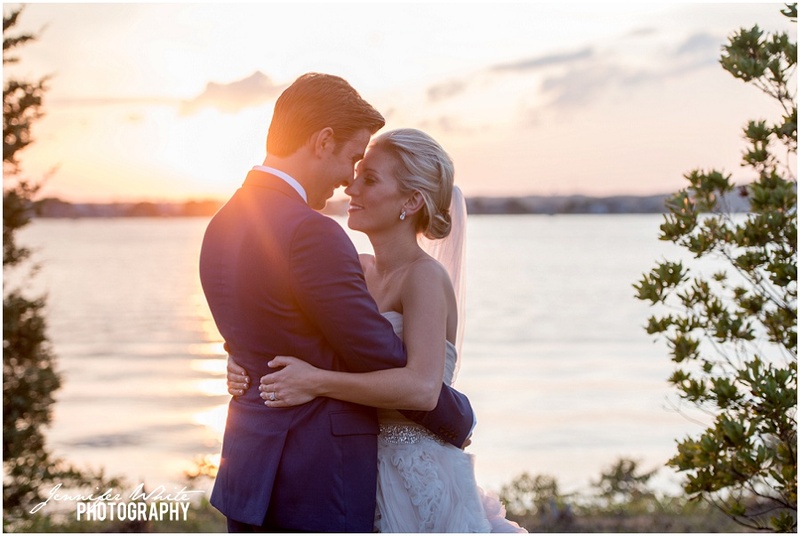 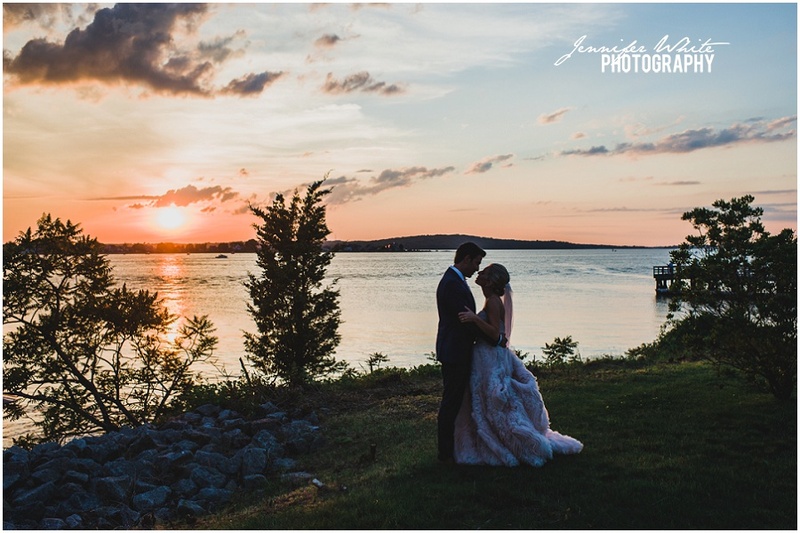 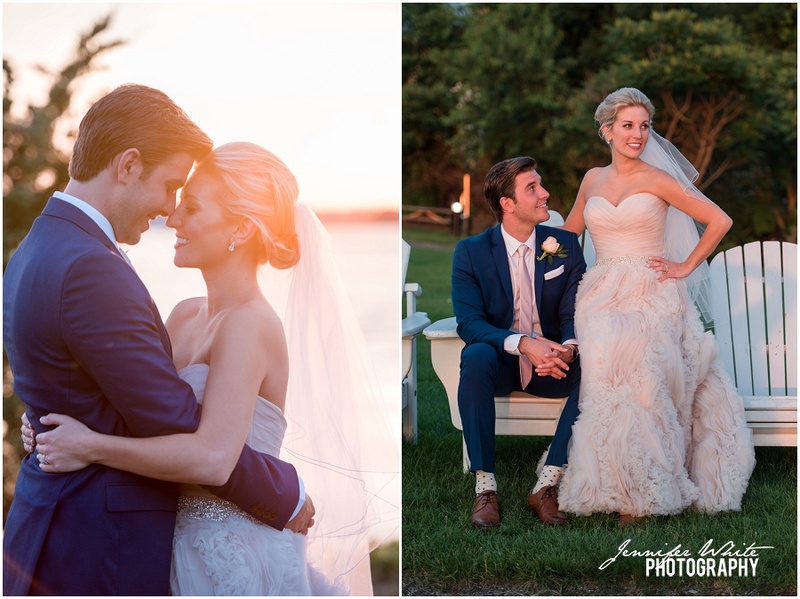 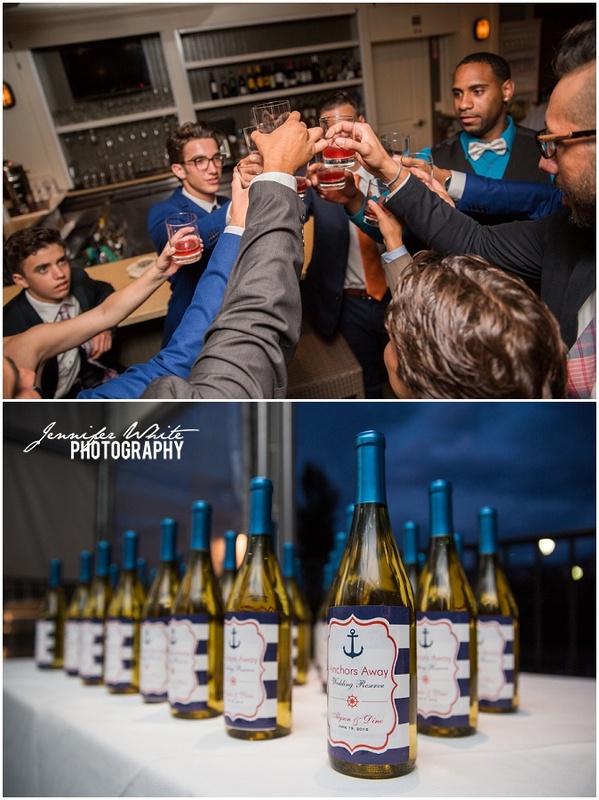 The Boathouse has such gorgeous views of the water, and we had a killer sunset on Alyson & Dino’s wedding day. 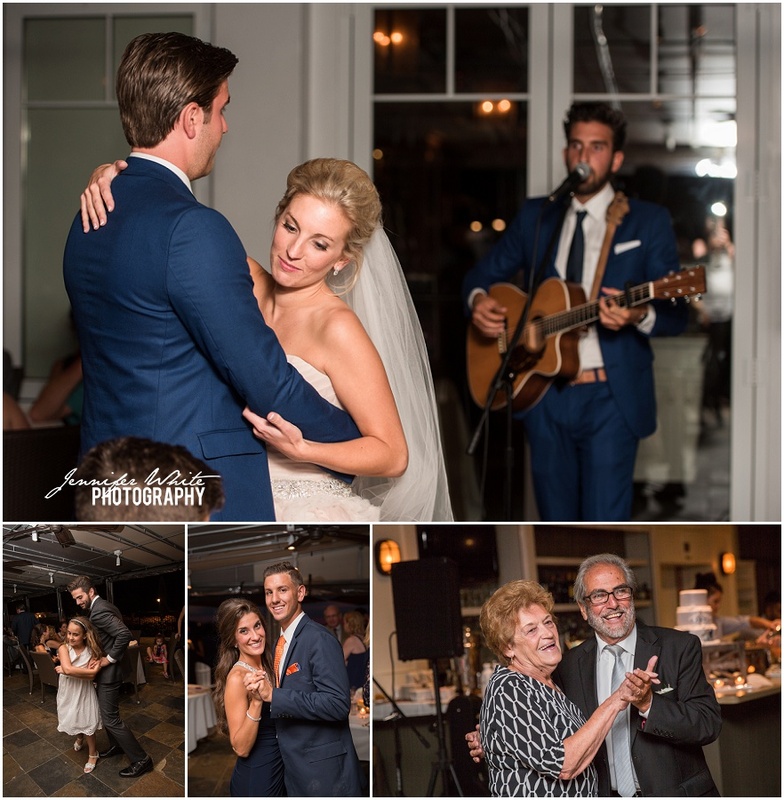 At the end of the evening, Dino and his brothers entertained the crowd with some Tom Petty (my fave!). 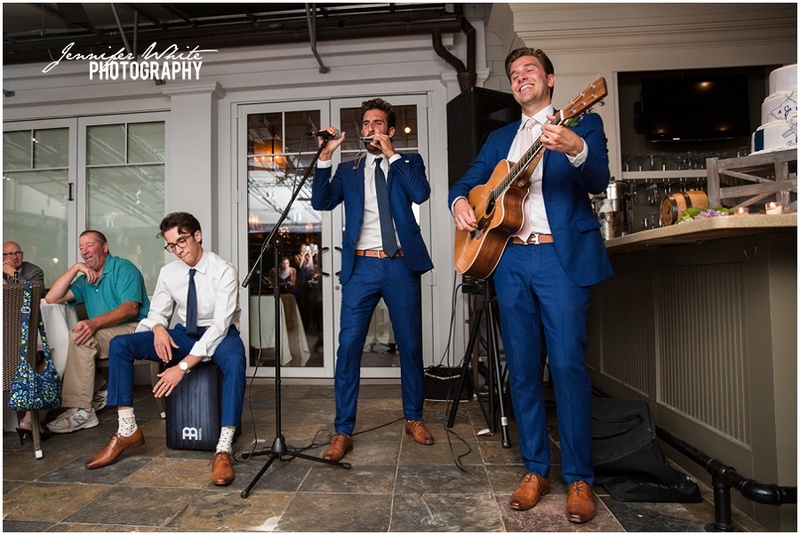 Photogenic and talented, what a combo! 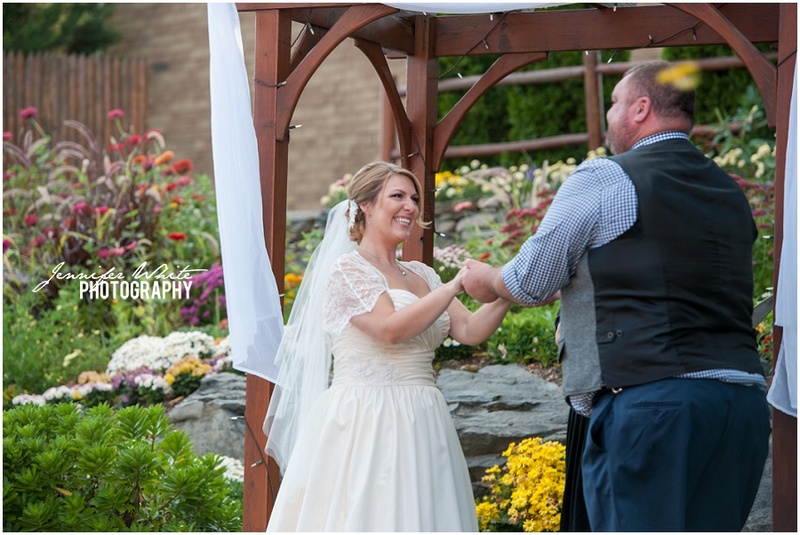 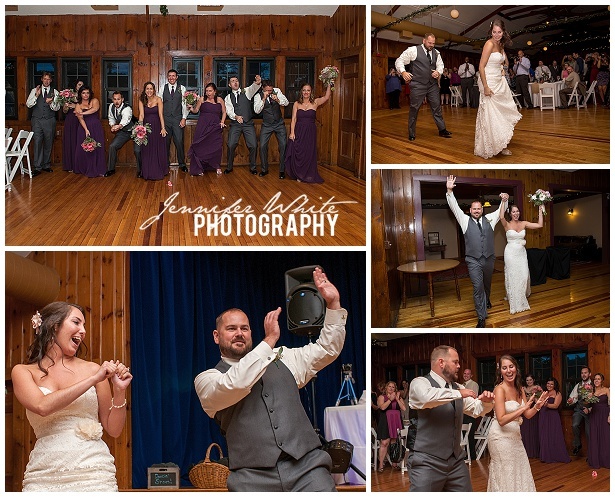 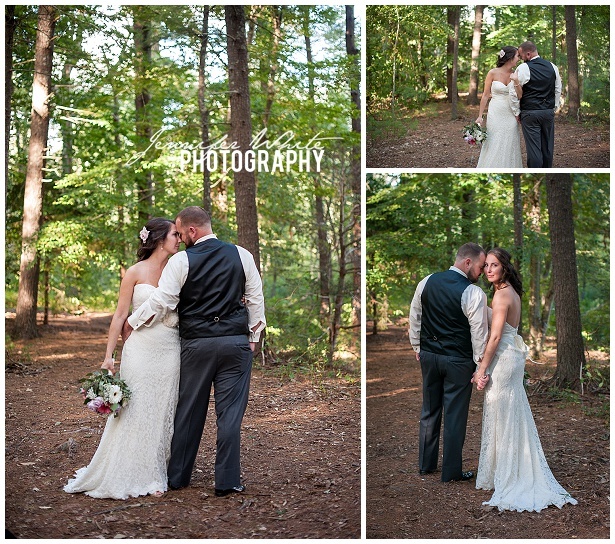 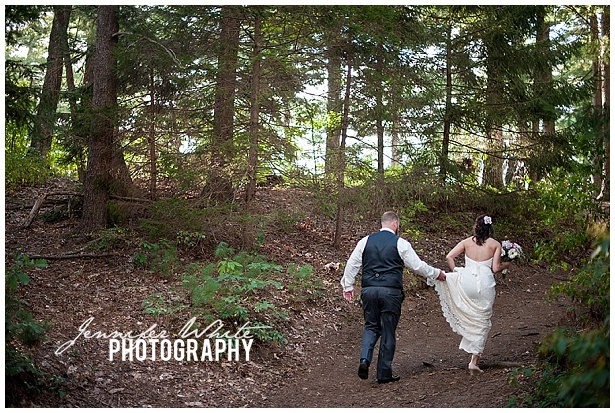 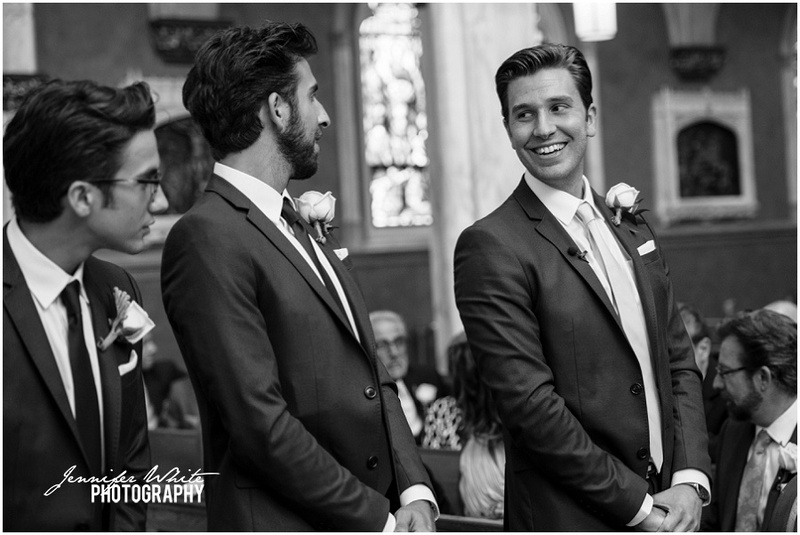 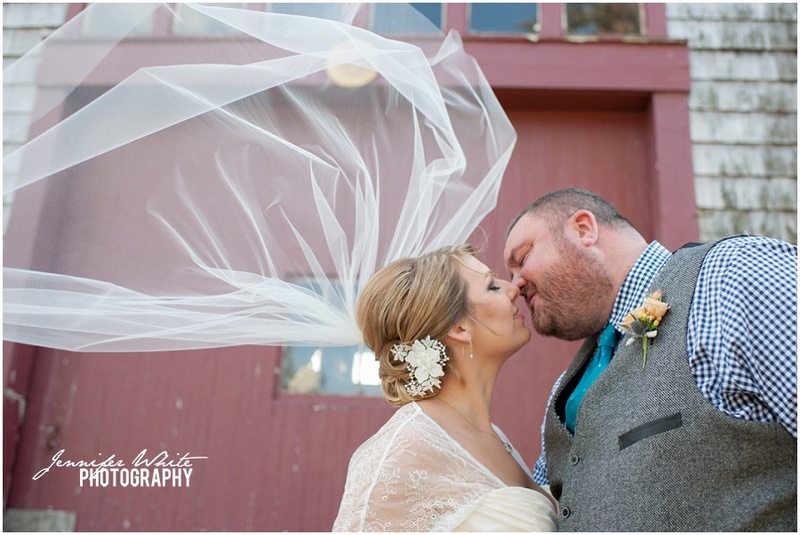 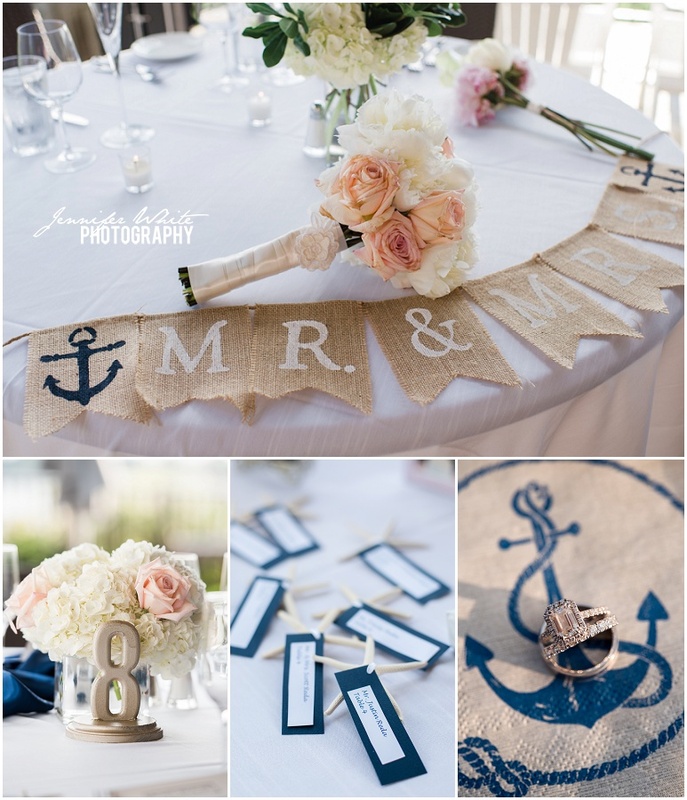 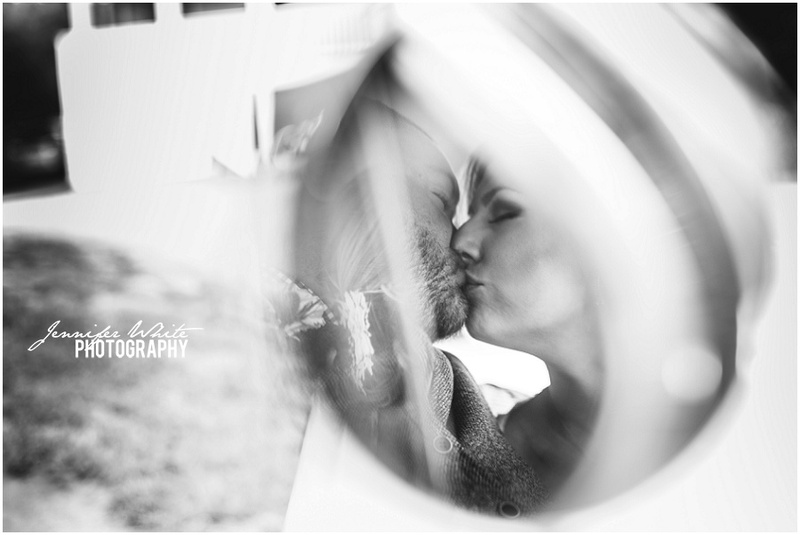 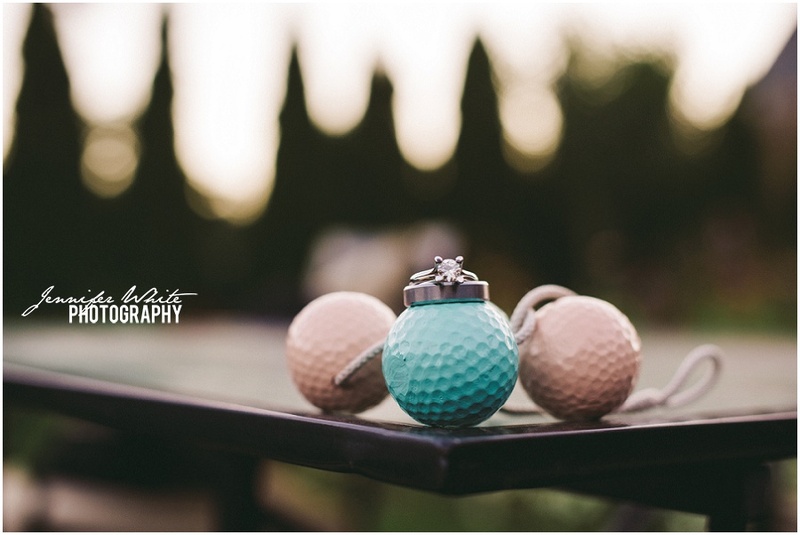 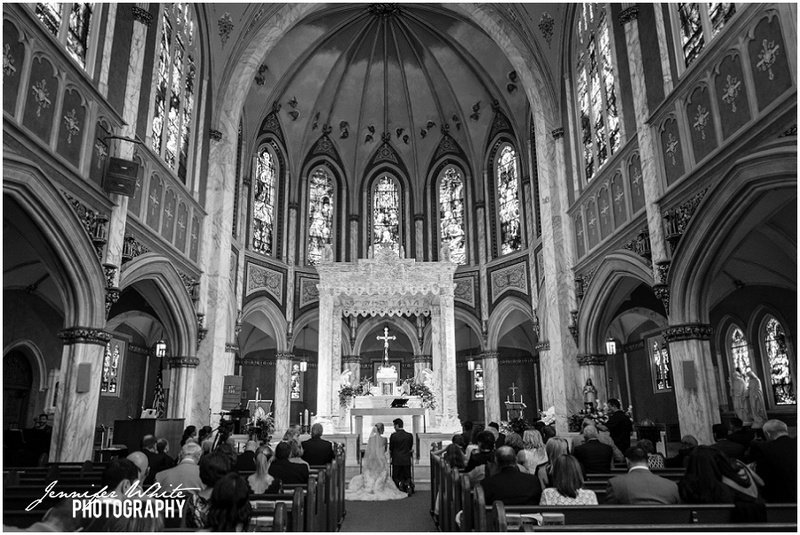 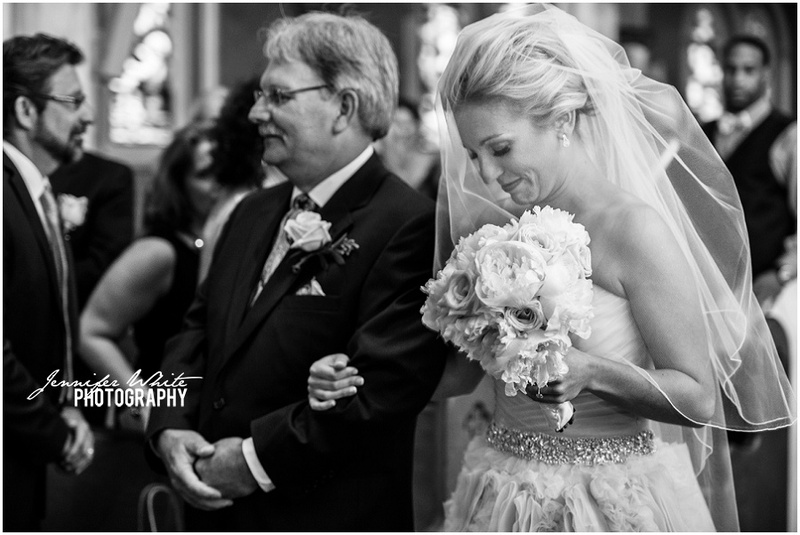 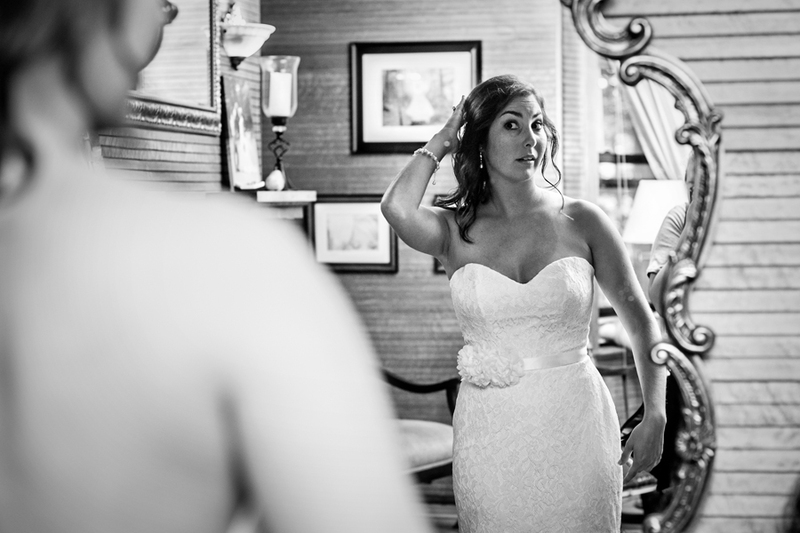 Congrats Alyson & Dino, it was such a pleasure working with you! 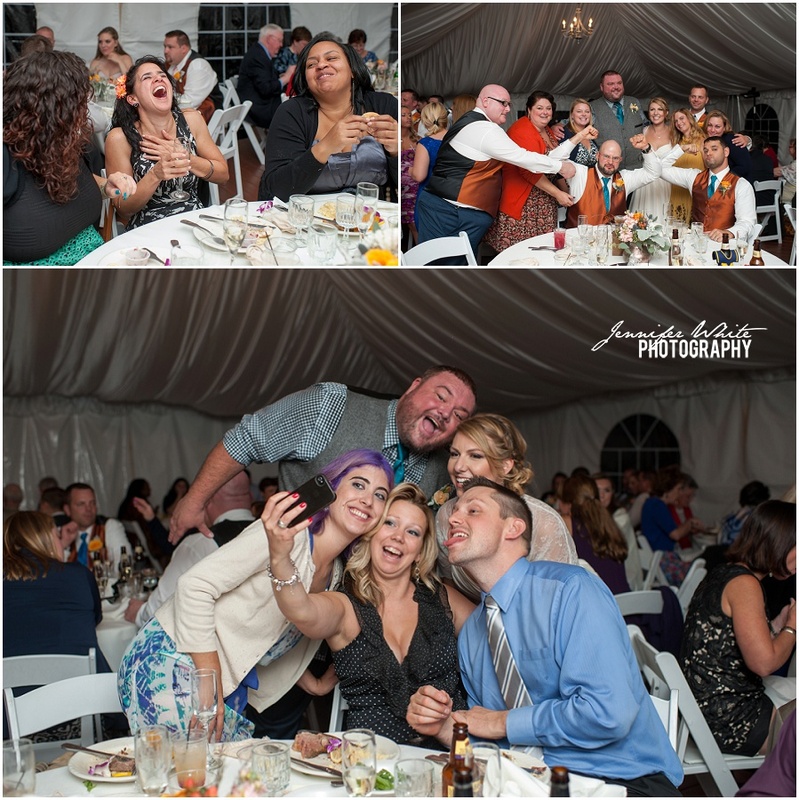 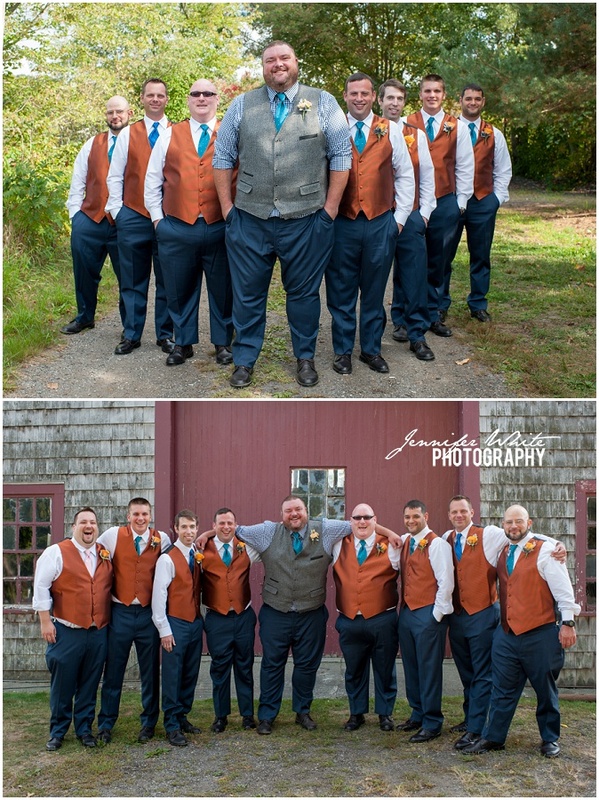 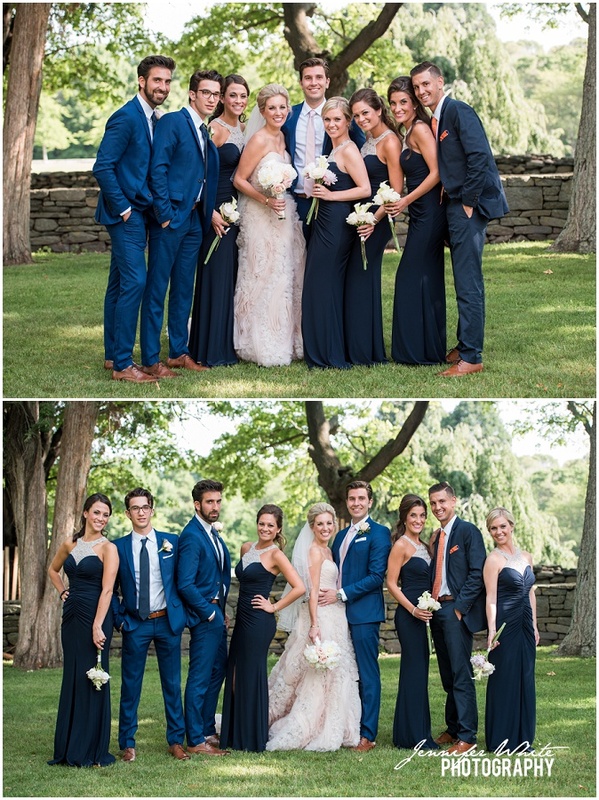 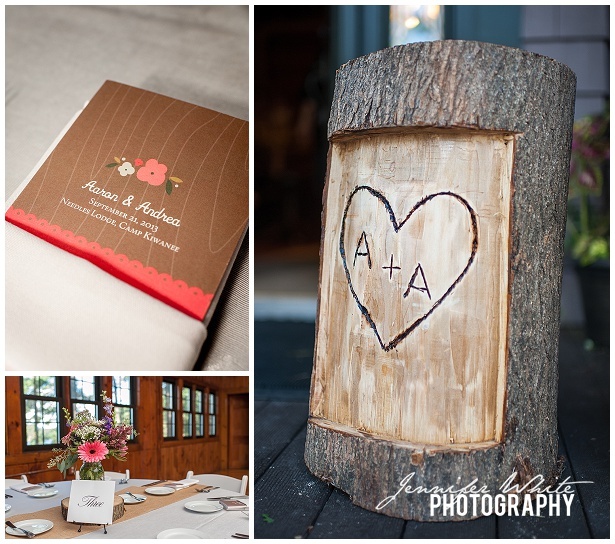 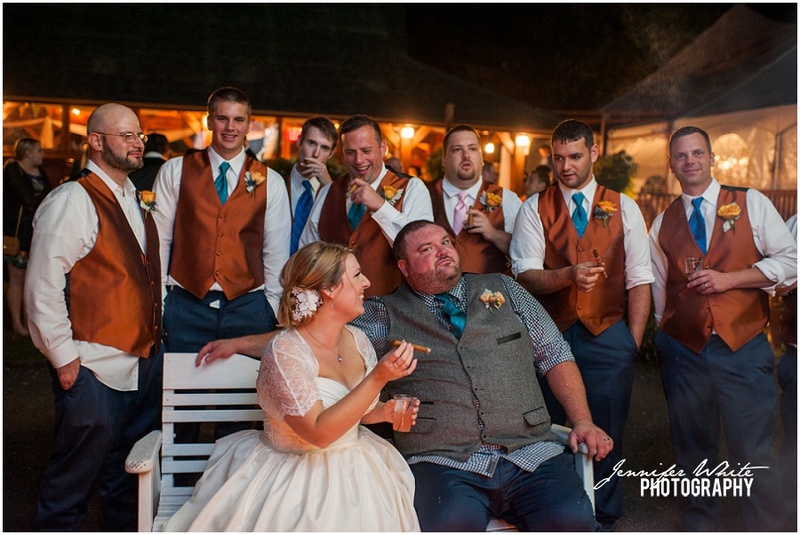 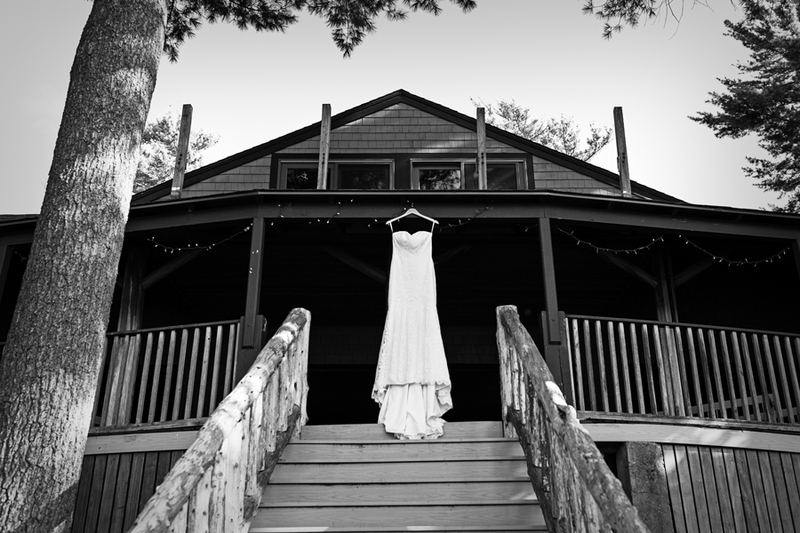 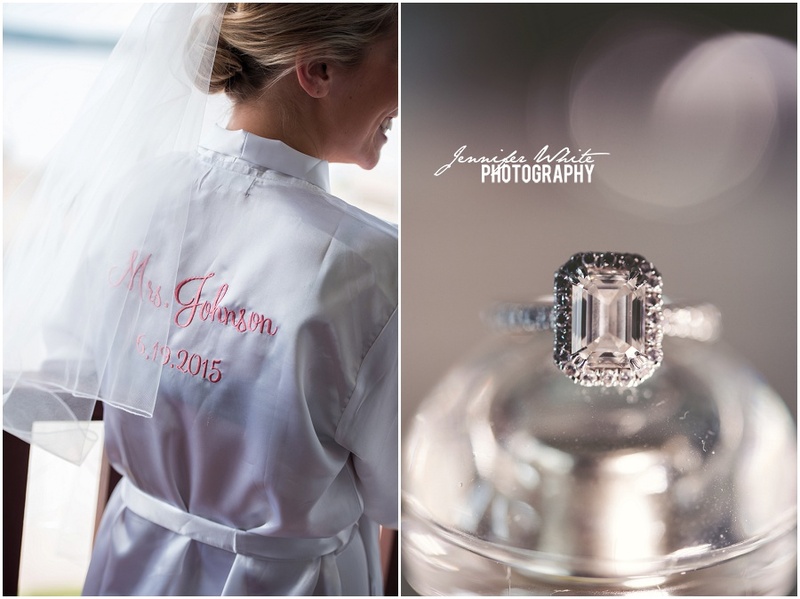 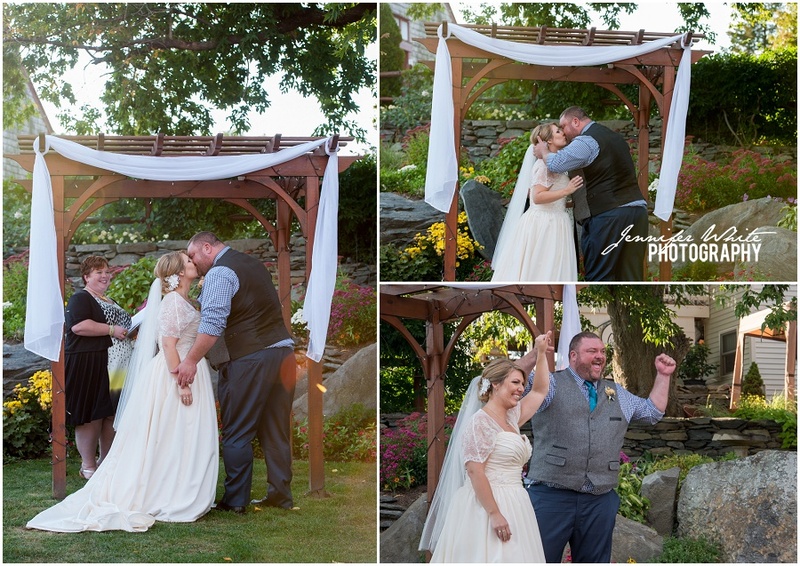 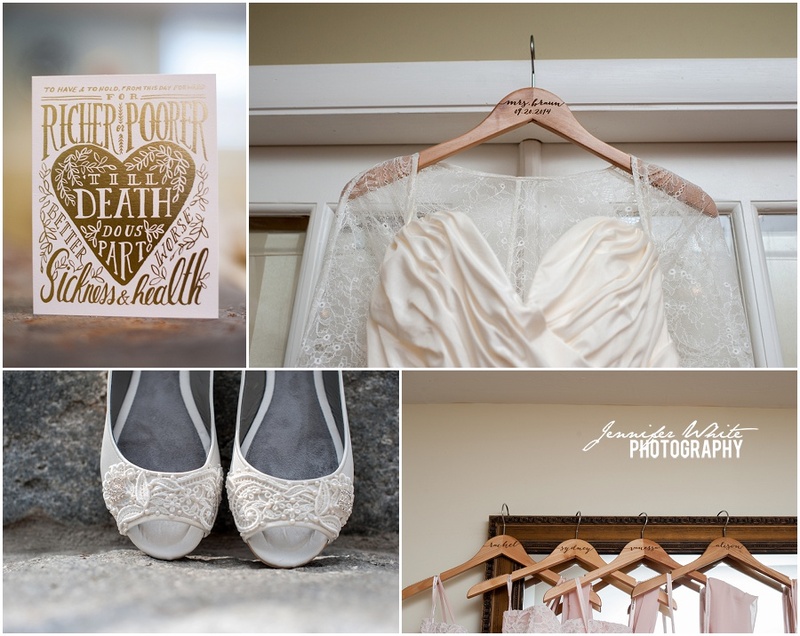 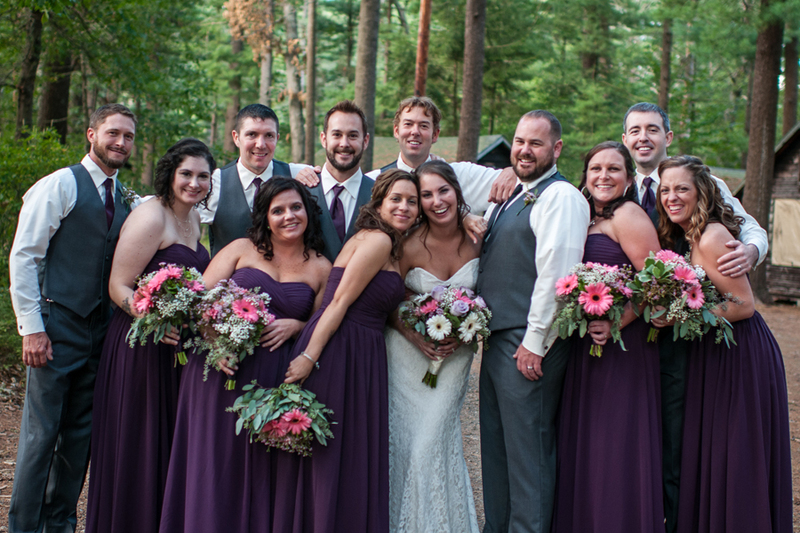 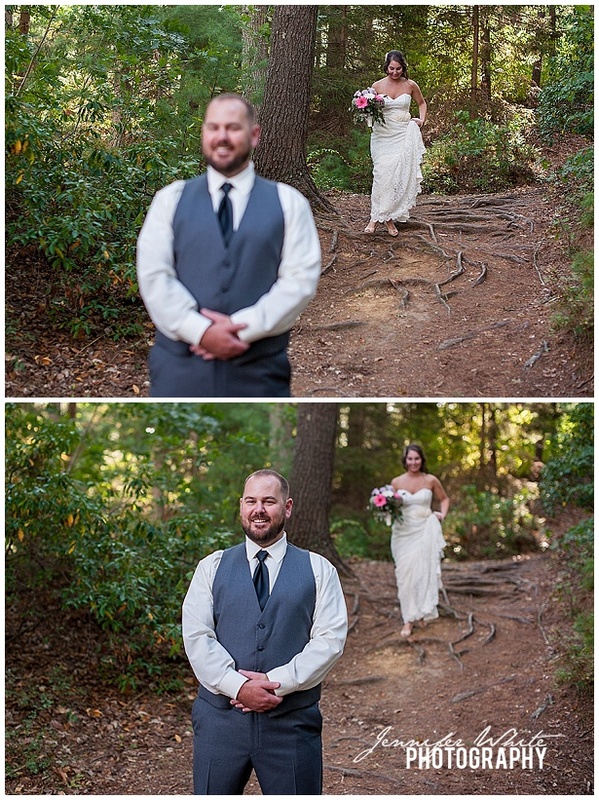 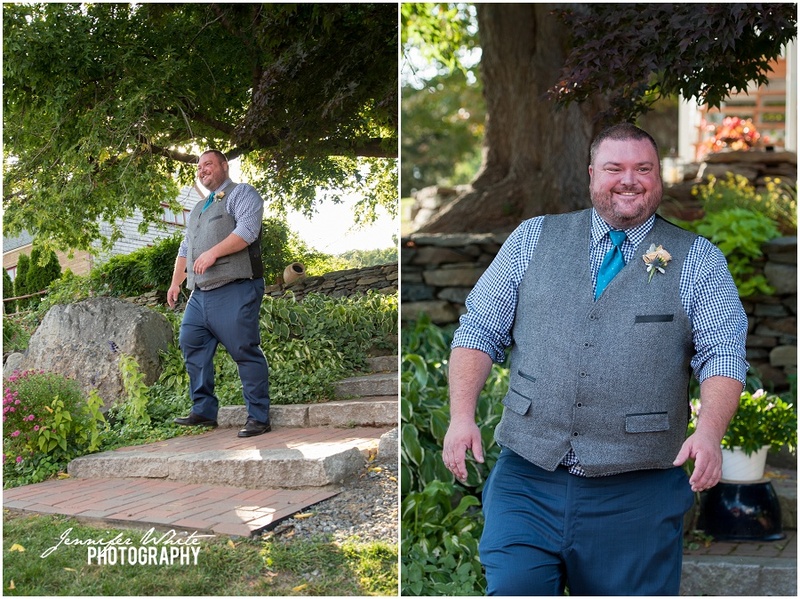 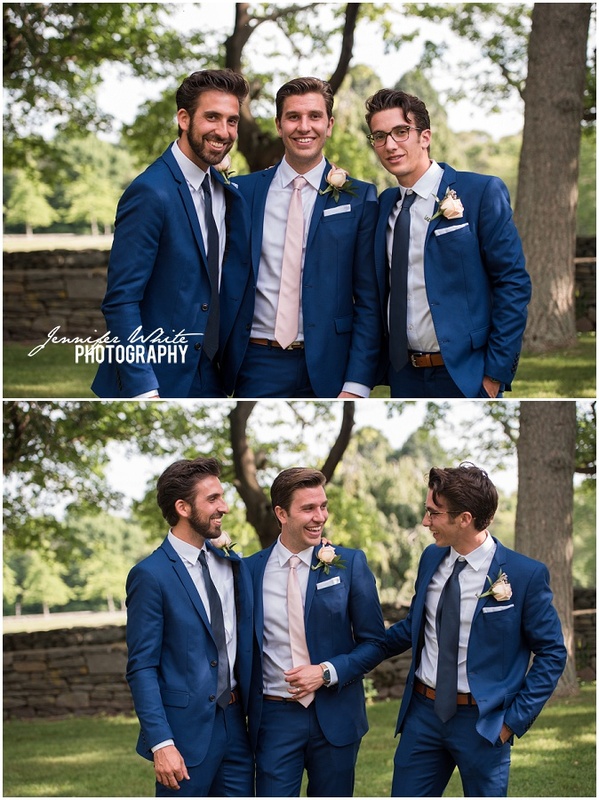 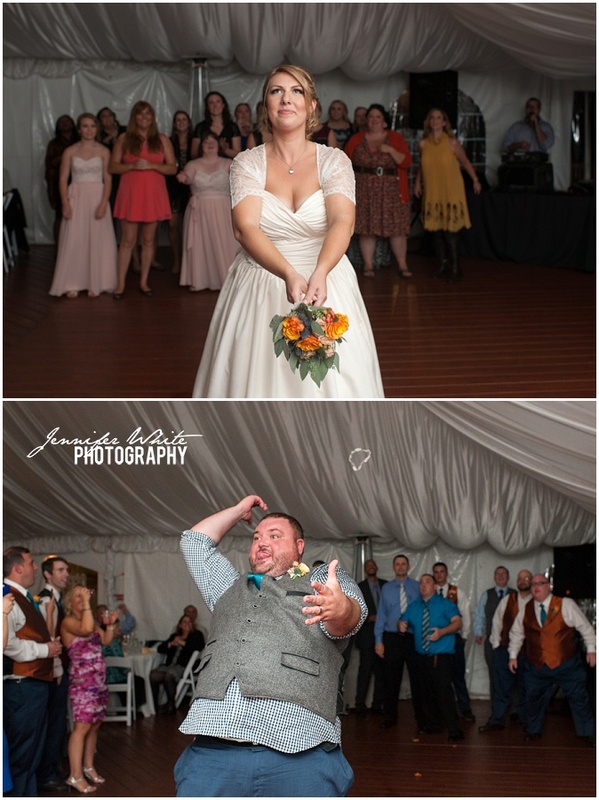 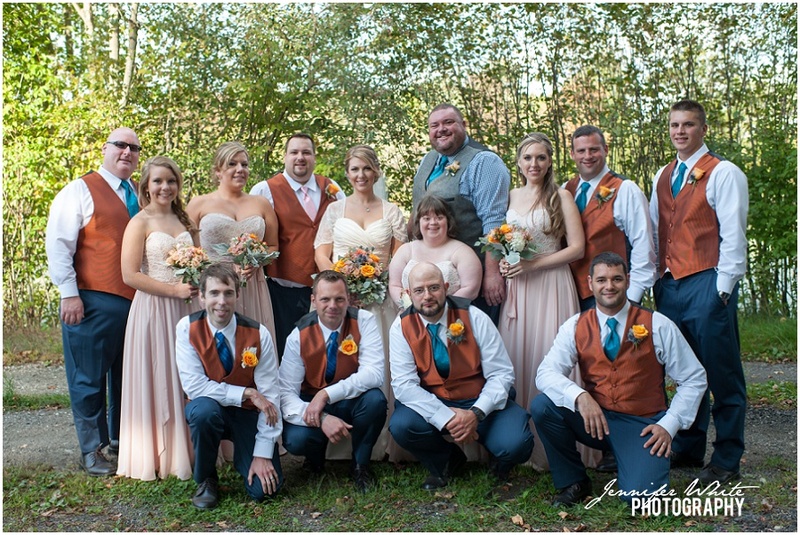 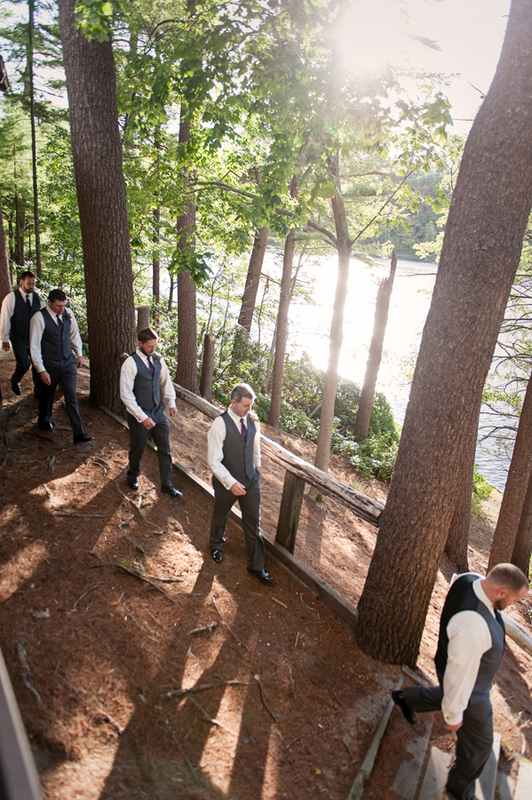 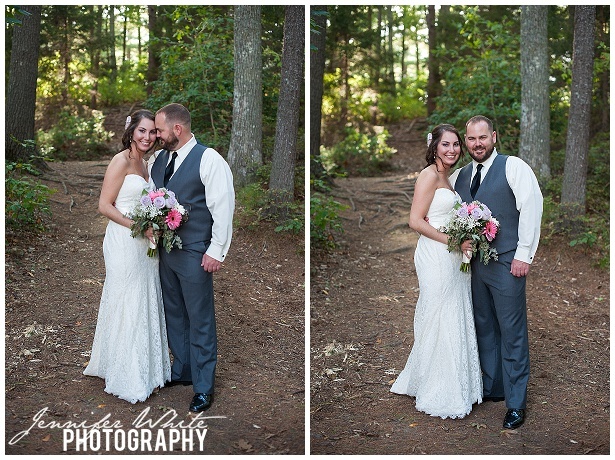 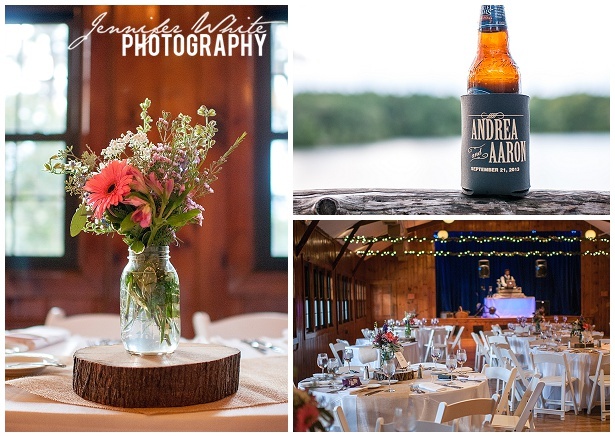 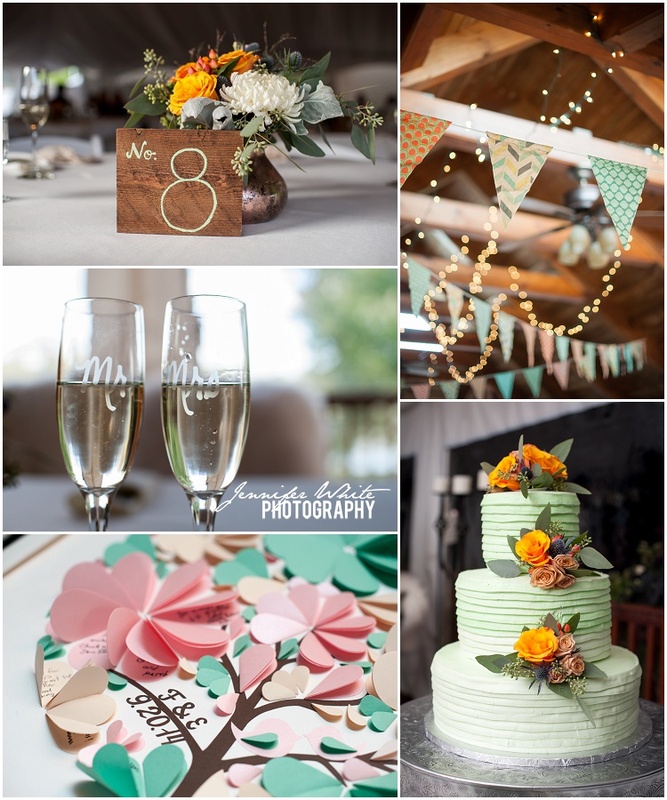 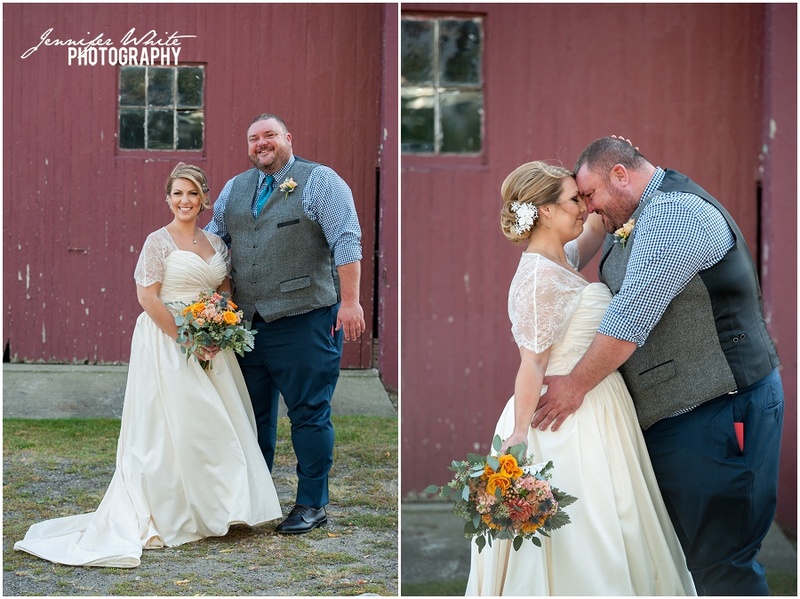 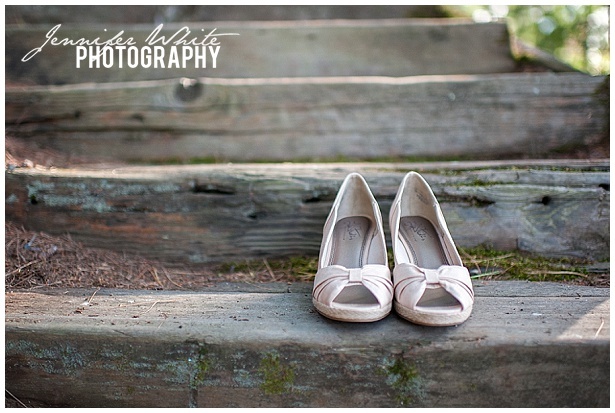 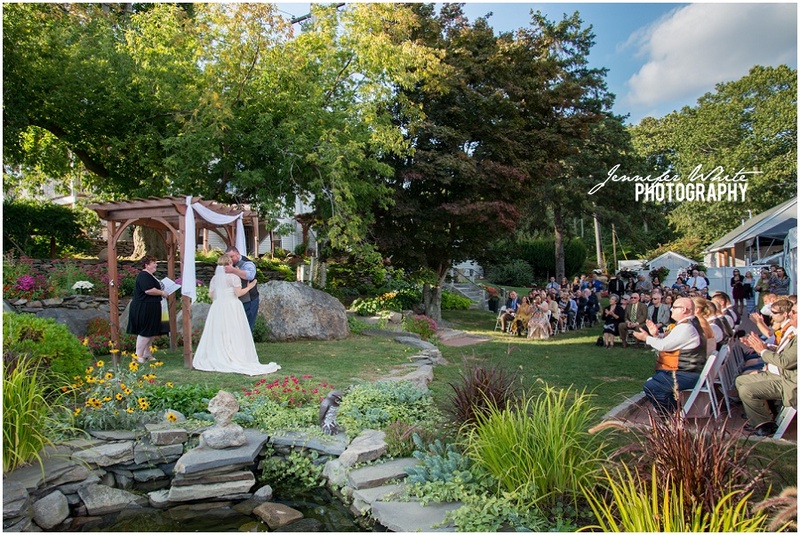 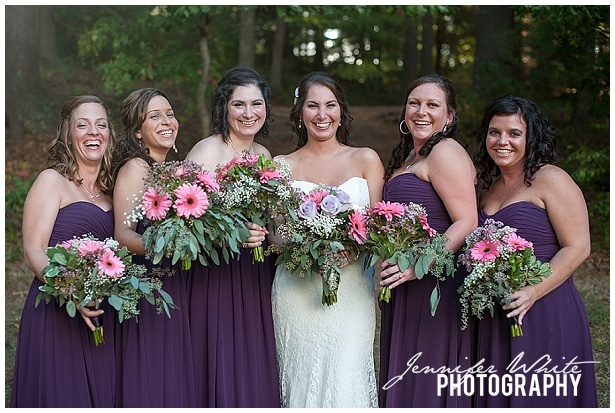 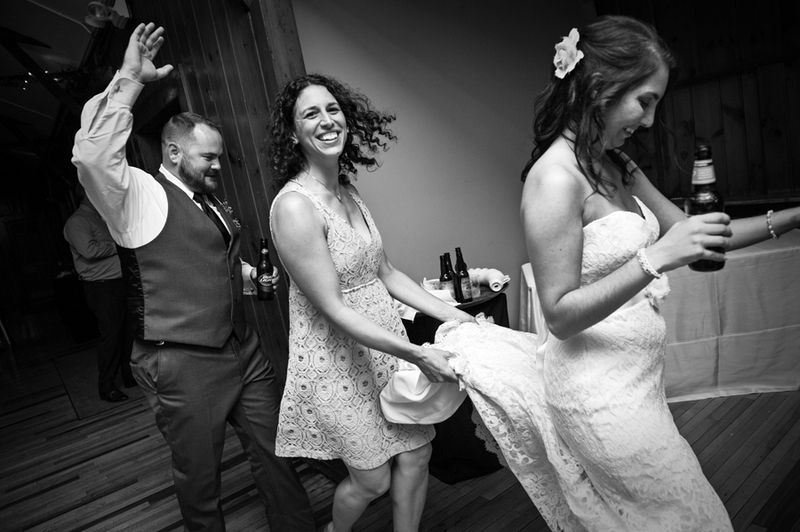 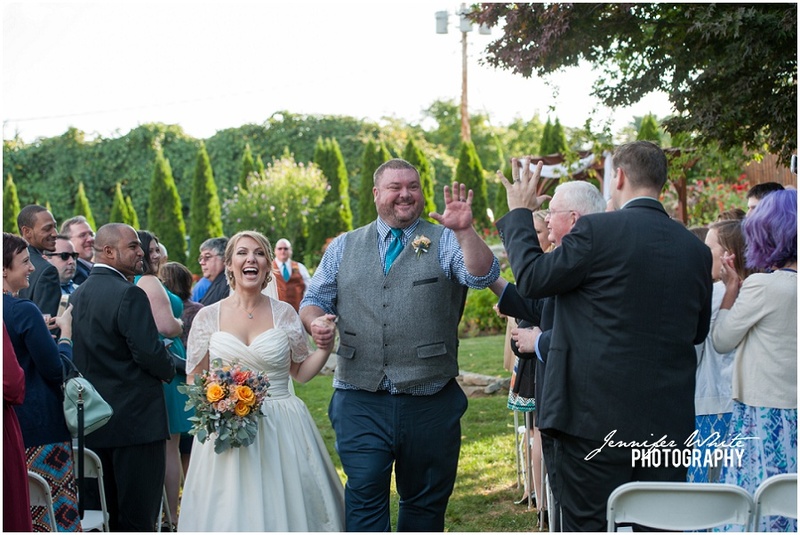 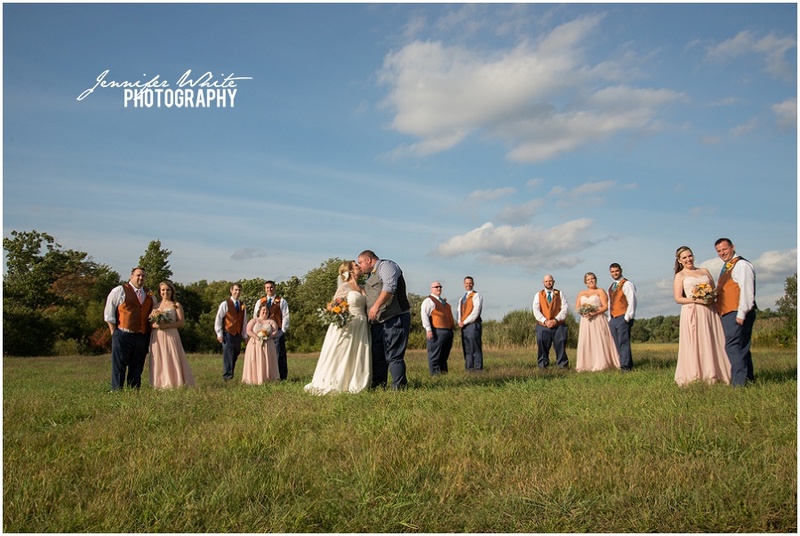 Emily and Fred had their wedding at the beautiful and rustic Chamberlain Farm in Berkley, Massachusetts. 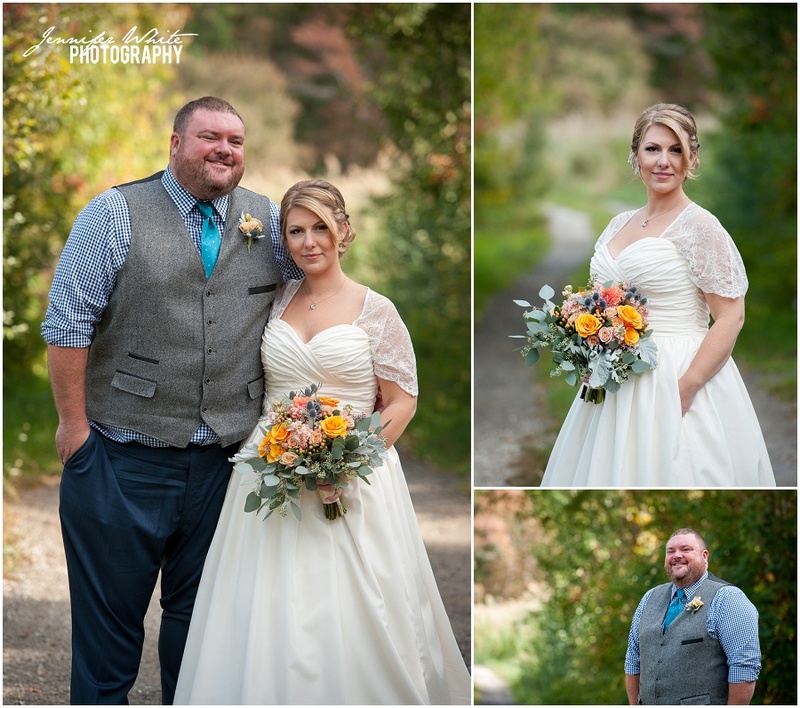 It was a perfect fall day for a wedding! 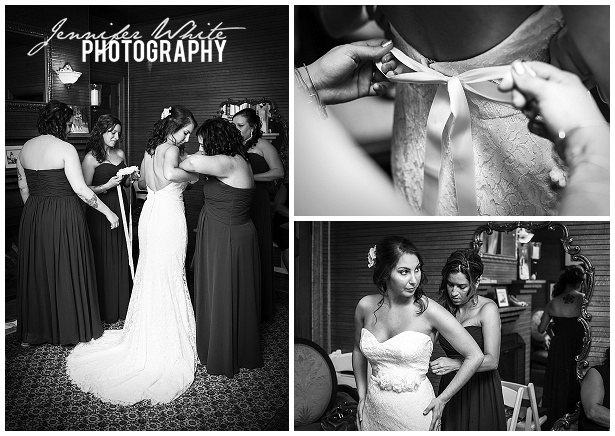 I love it when the ladies have coordinated getting ready gear. 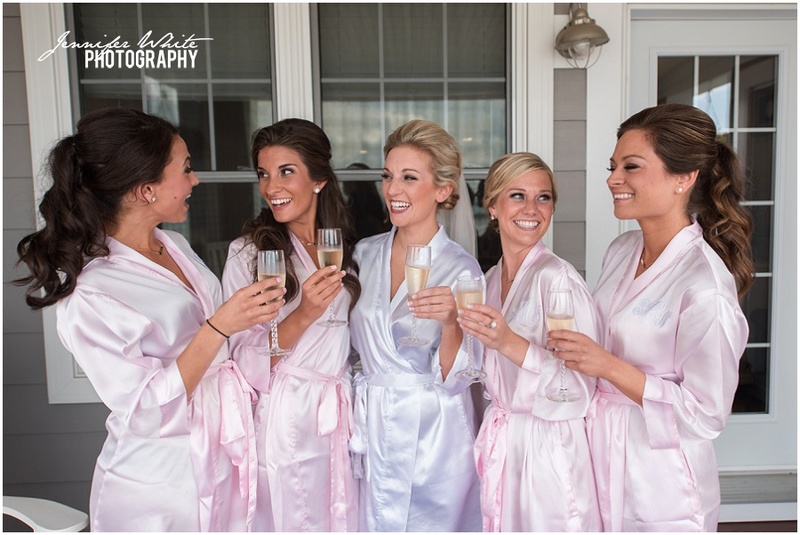 These robes are so pretty! 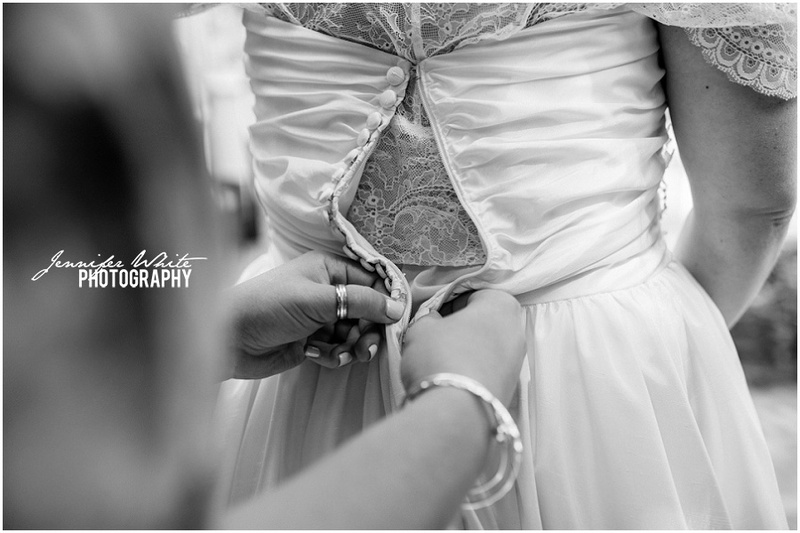 Emily’s dress was perfection. 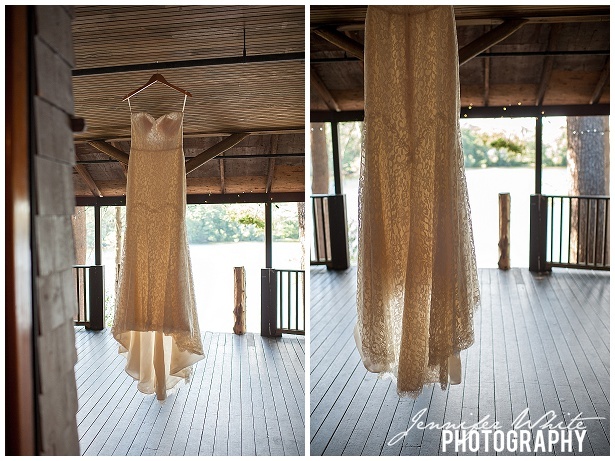 Oh, how I love a wedding dress with sleeves. 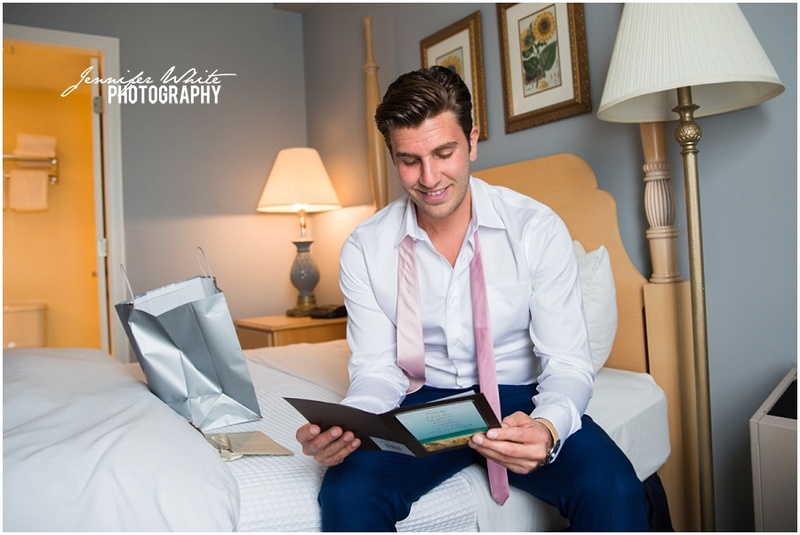 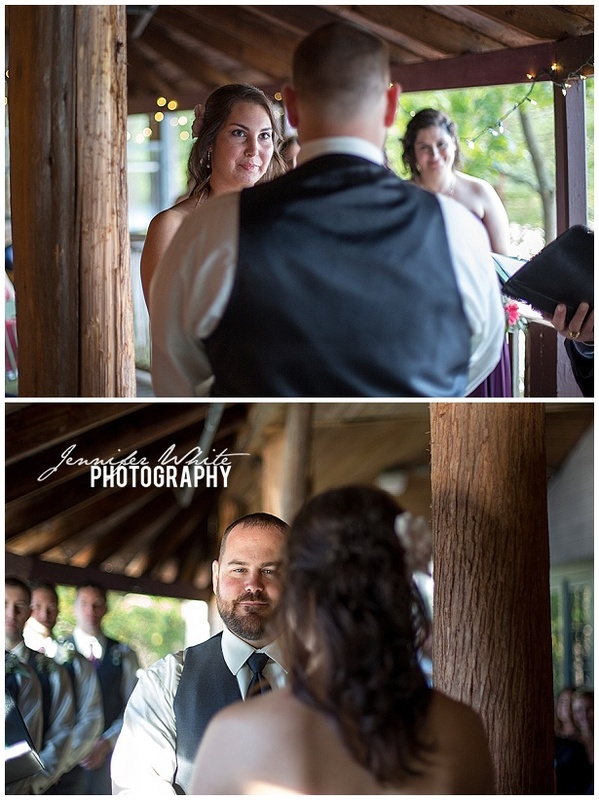 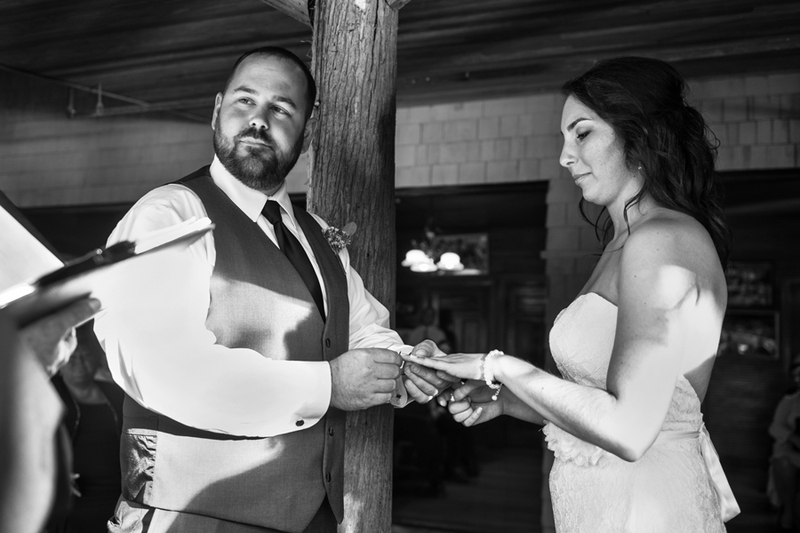 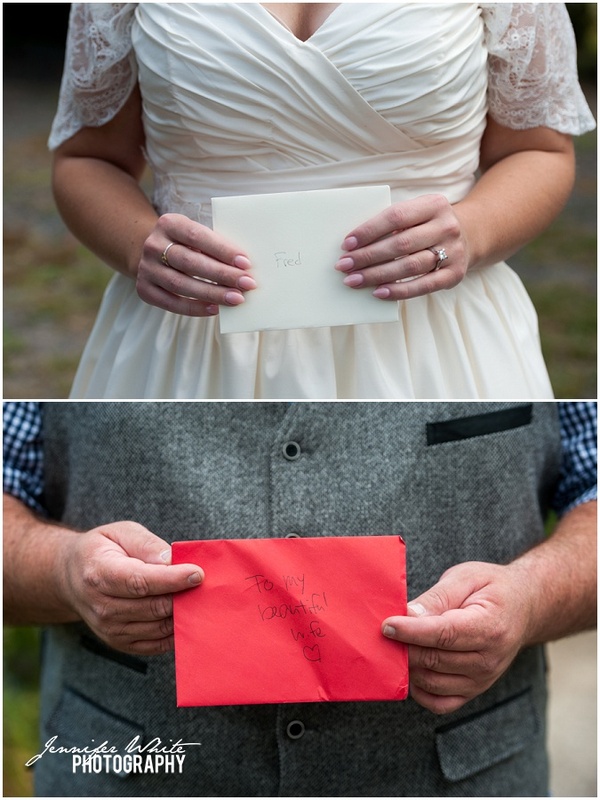 Emily & Fred shared a sweet moment reading the cards that they wrote for each other on the morning of the wedding. 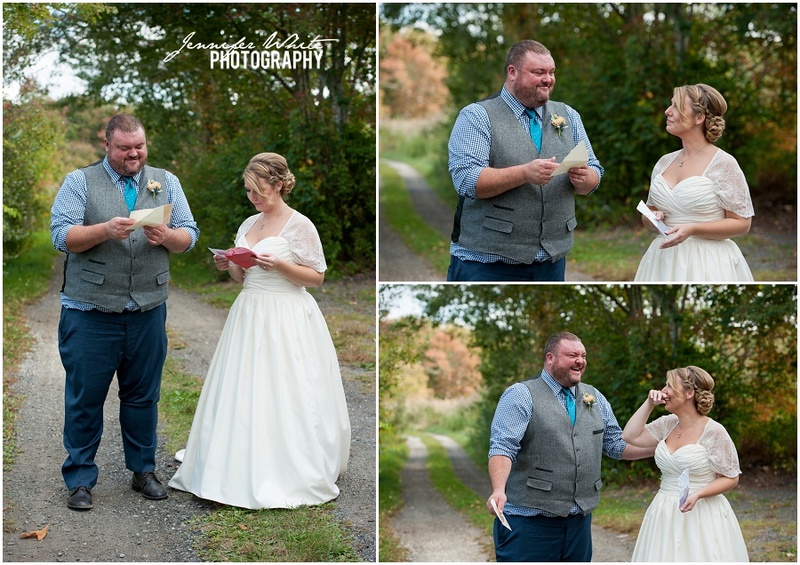 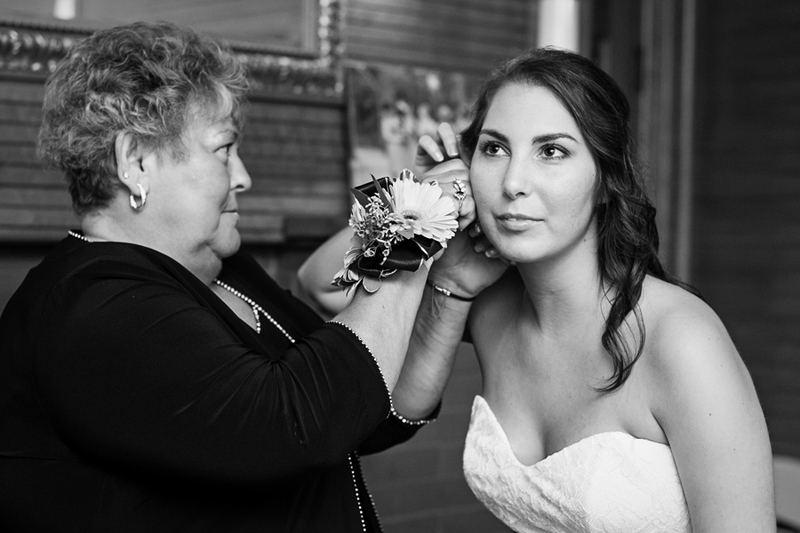 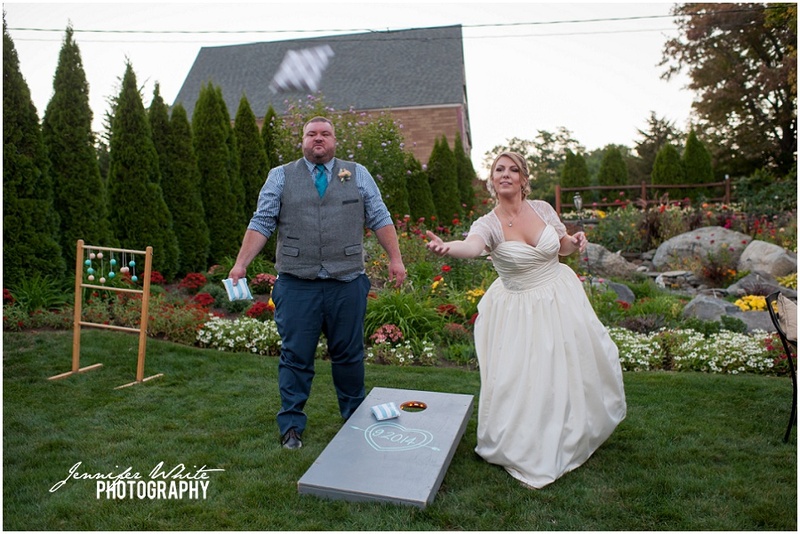 Good thing the wedding dress had pockets for kleenex. 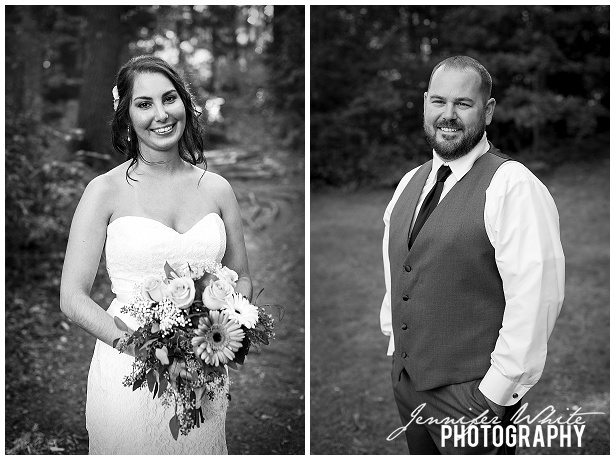 Congrats on a wonderful day, Emily & Fred! 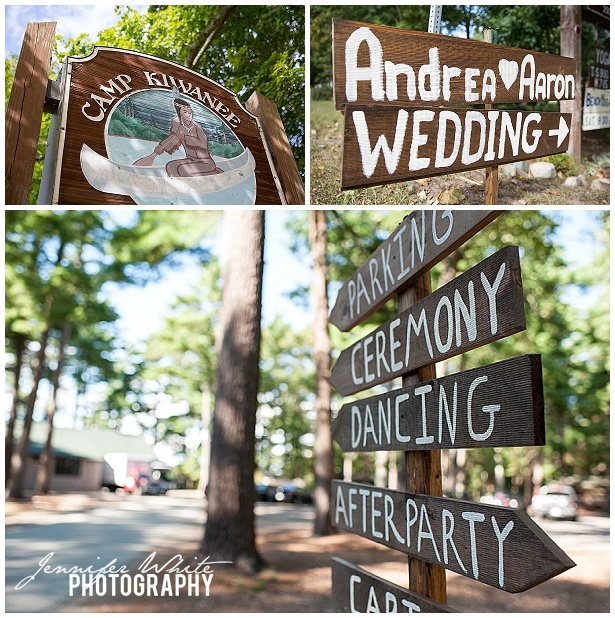 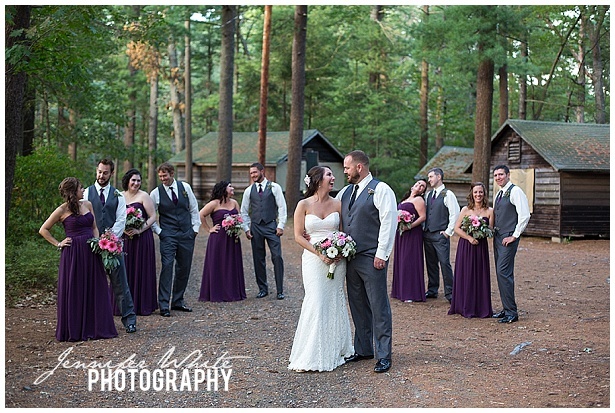 Camp Kiwanee in Hanson is one of my very favorite wedding venues. 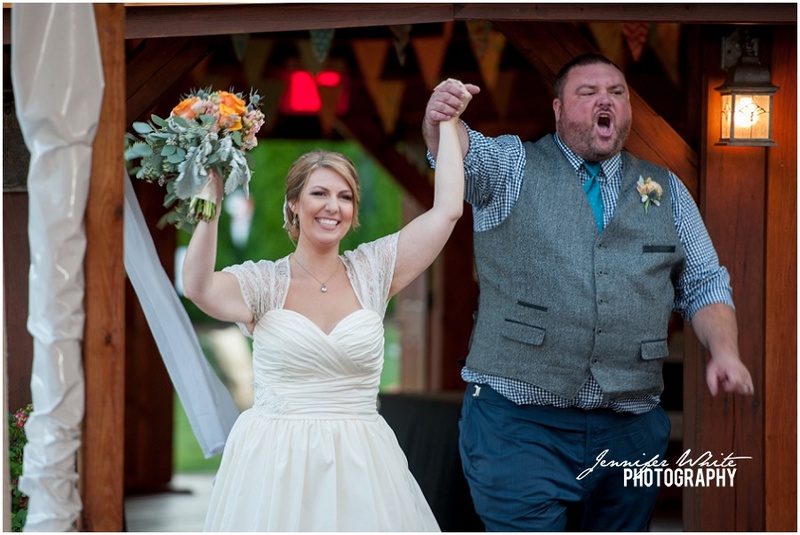 (Obviously, I have very strong feelings about summer camp weddings.) 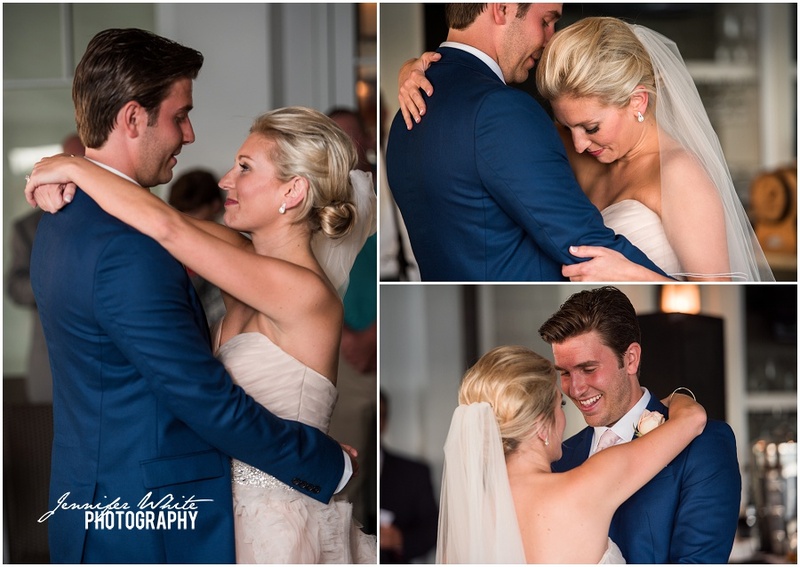 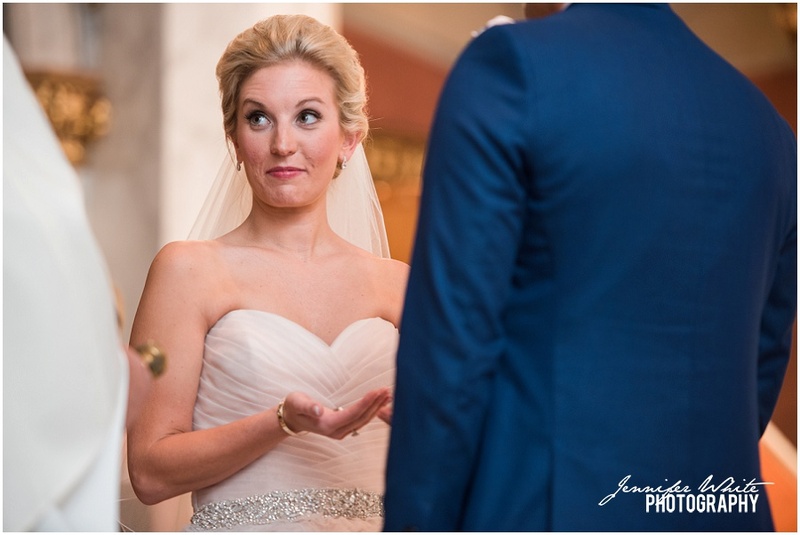 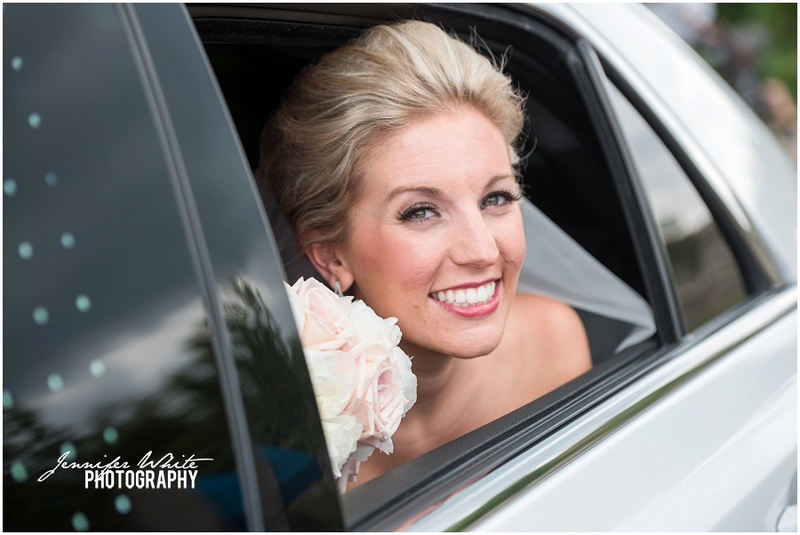 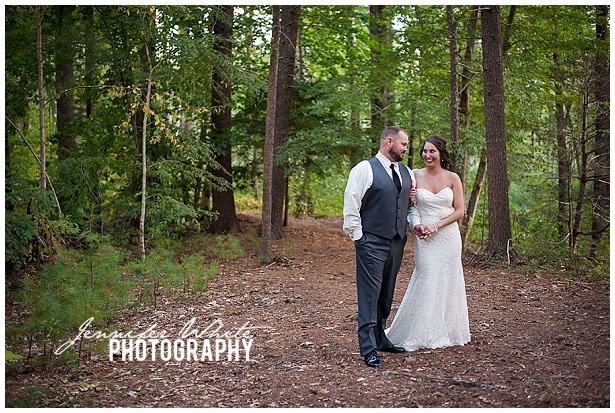 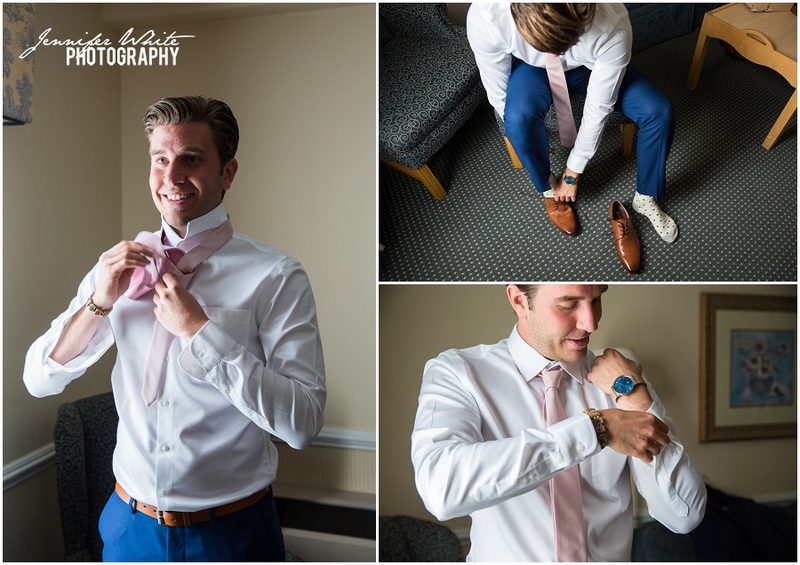 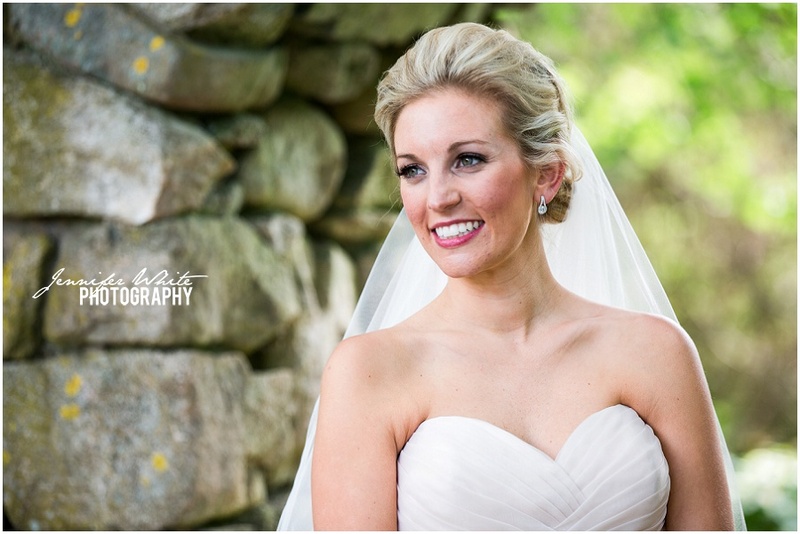 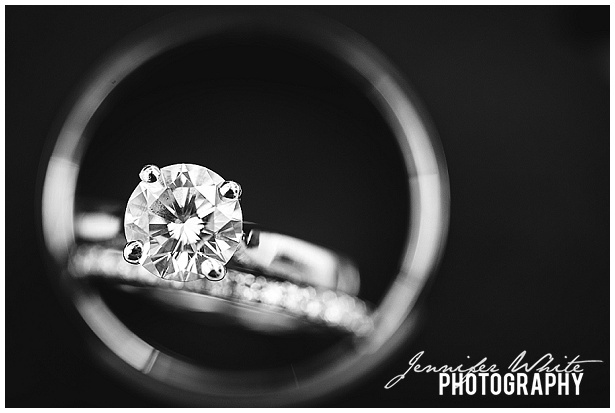 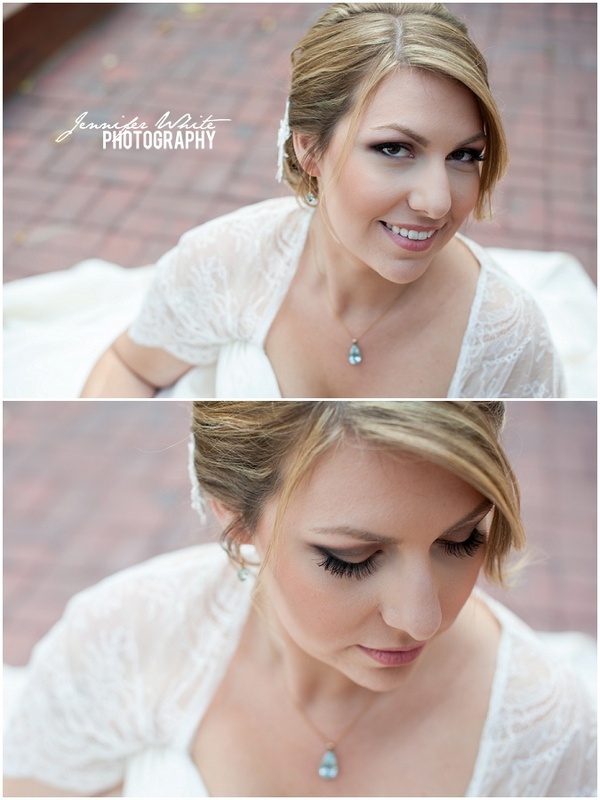 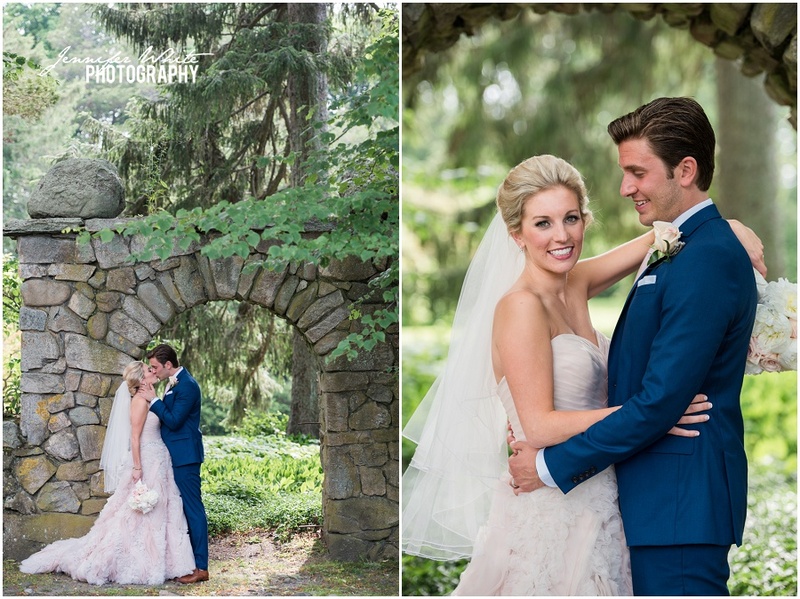 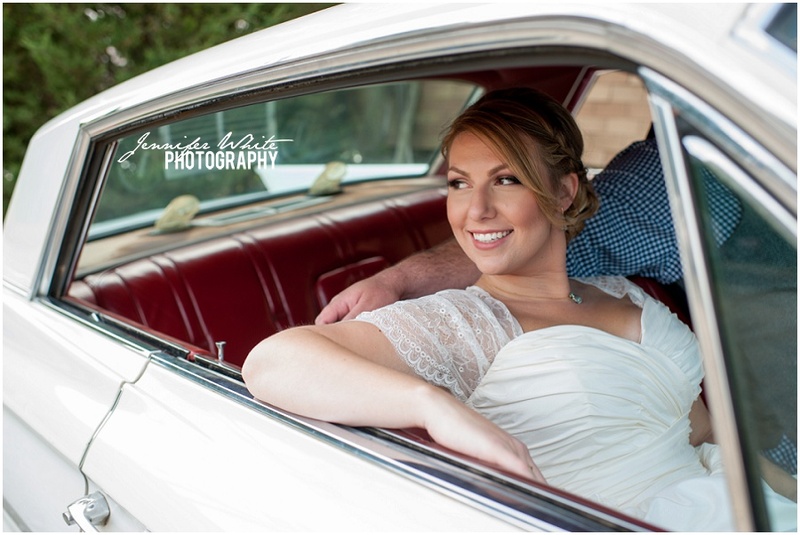 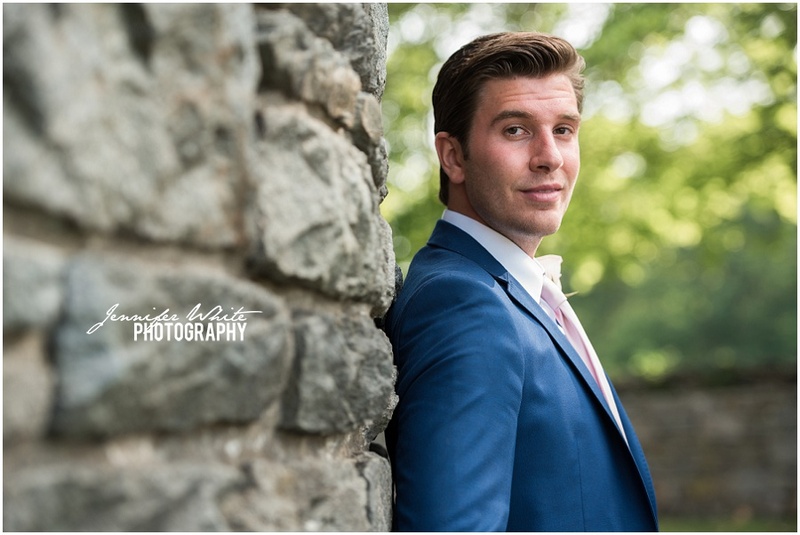 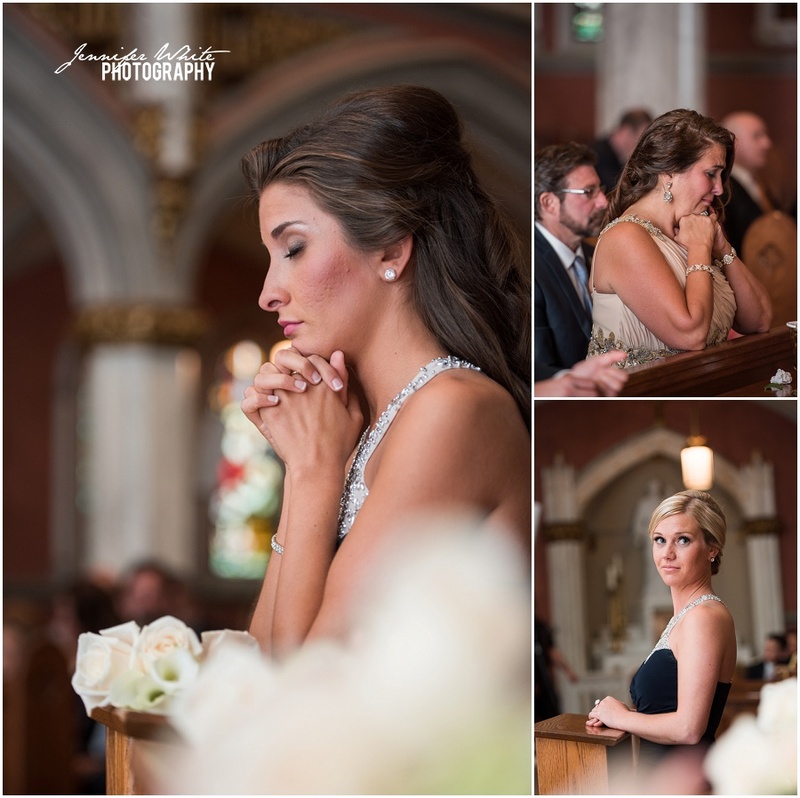 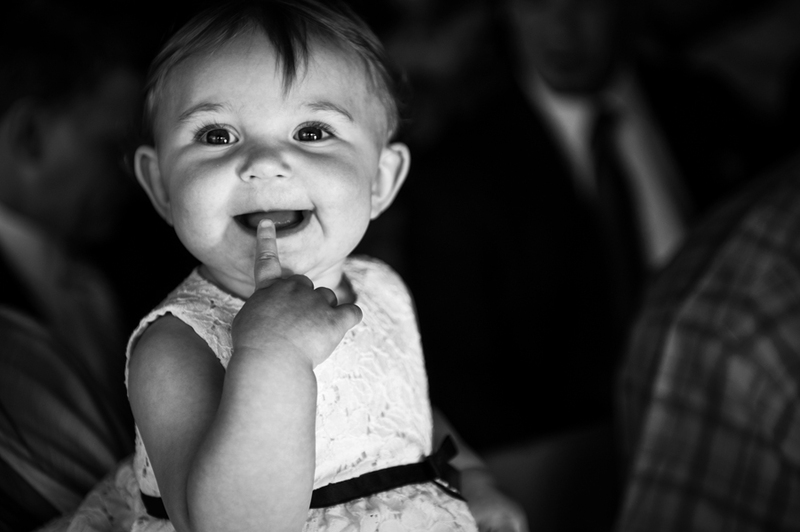 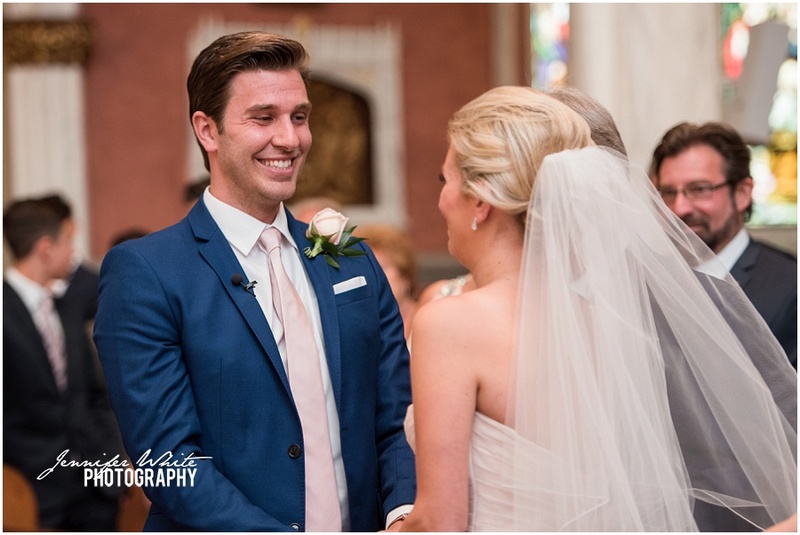 Andrea & Aaron’s day was beautiful, and loads of fun to photograph!